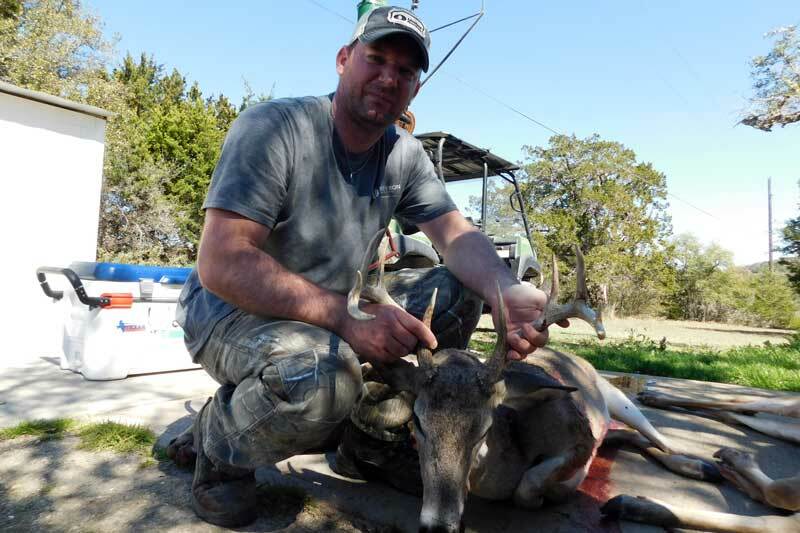 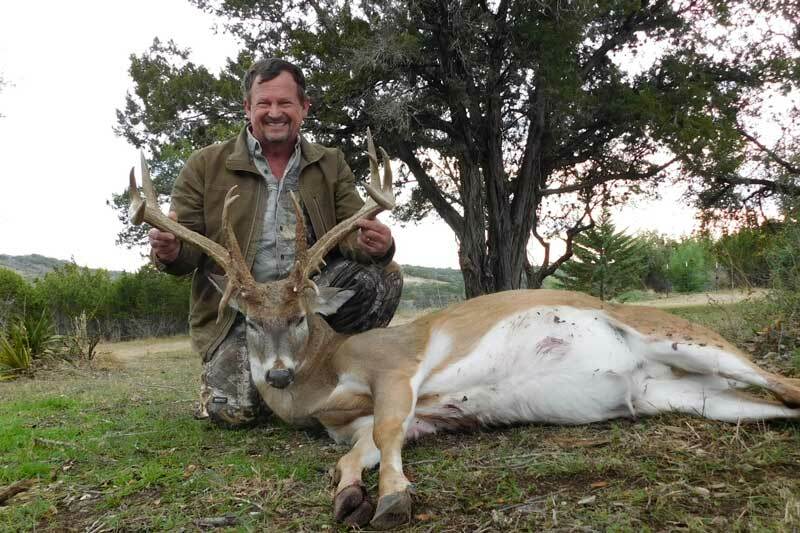 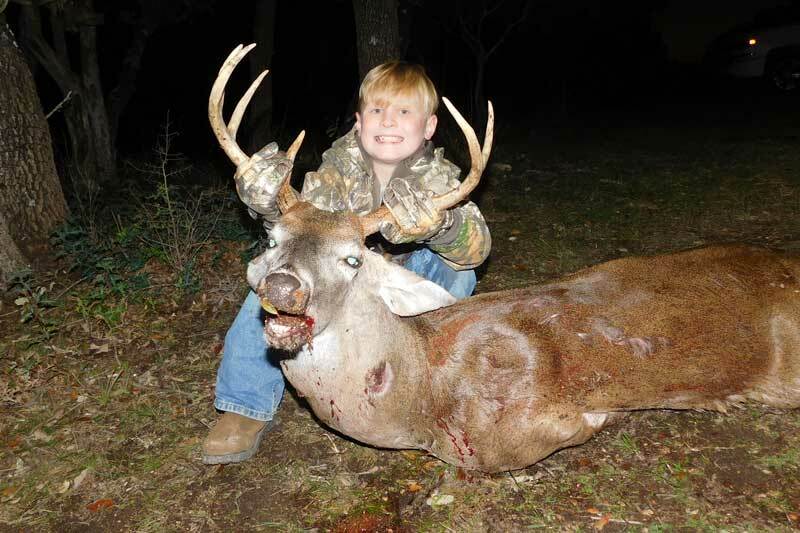 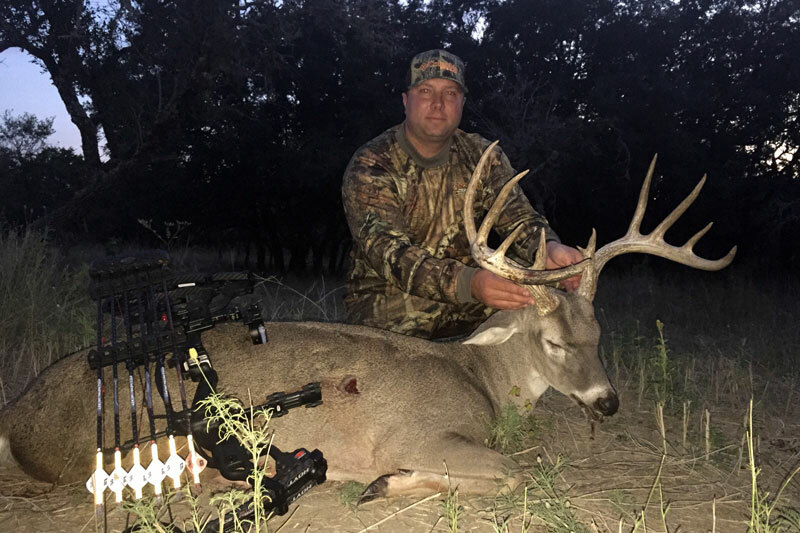 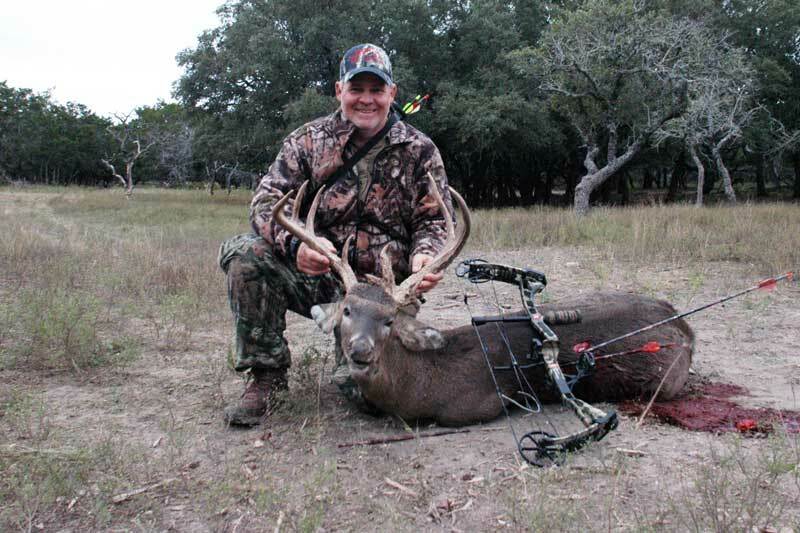 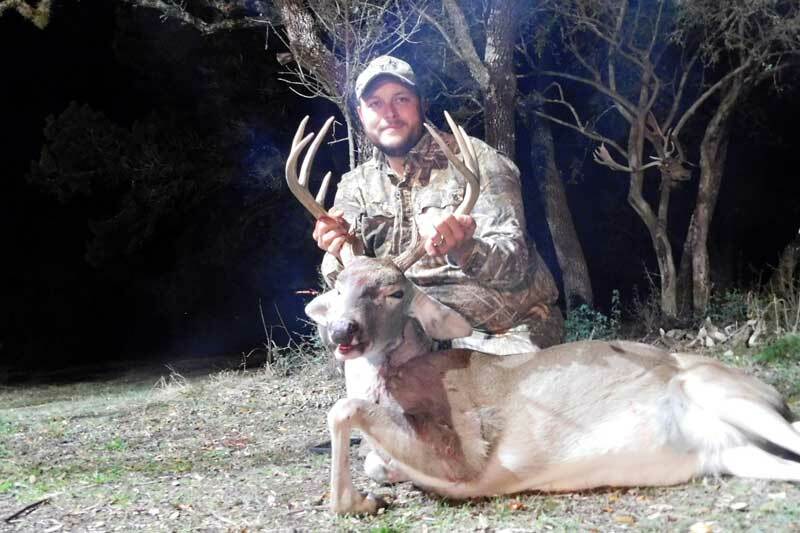 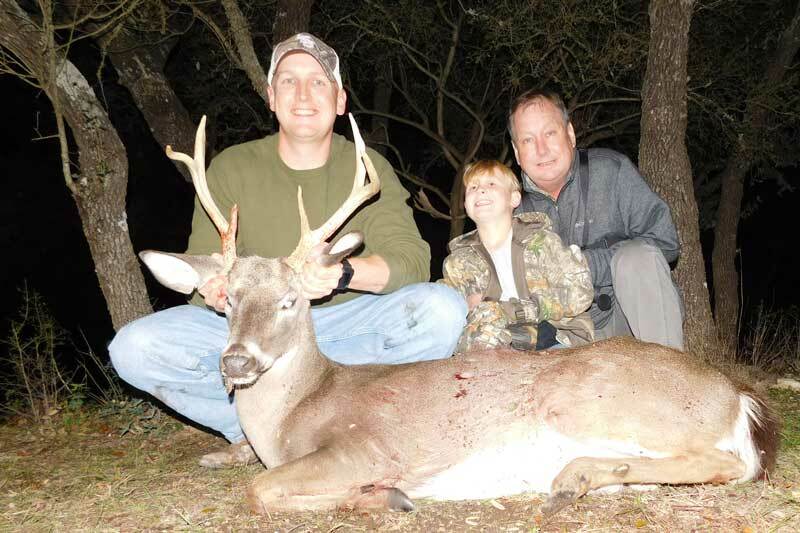 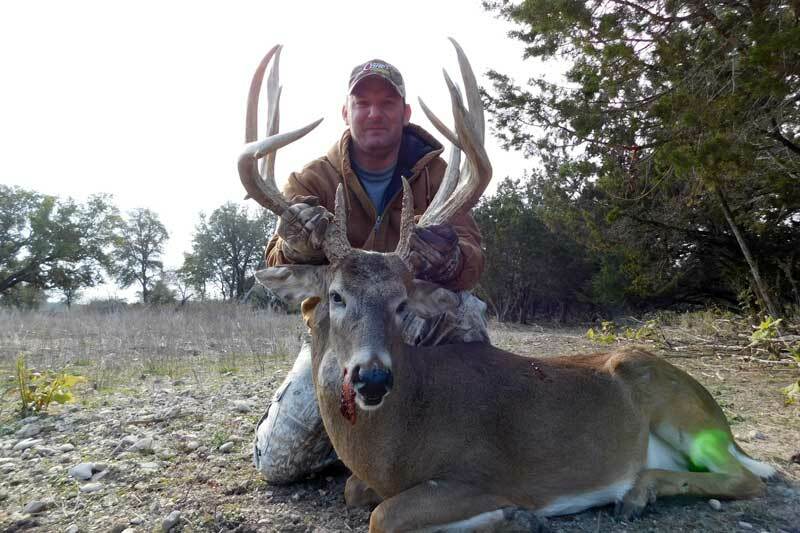 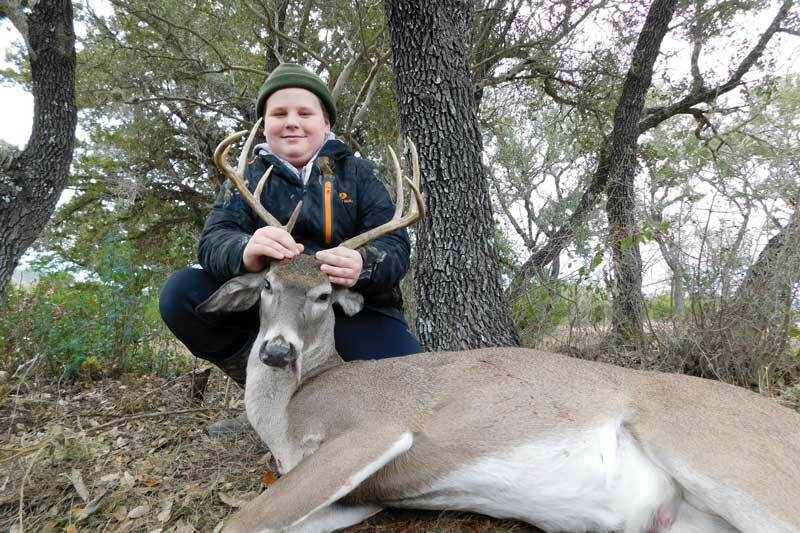 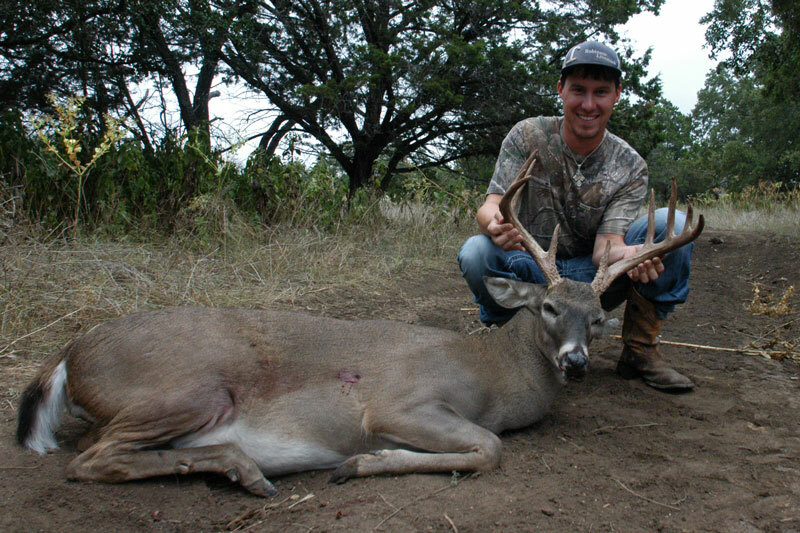 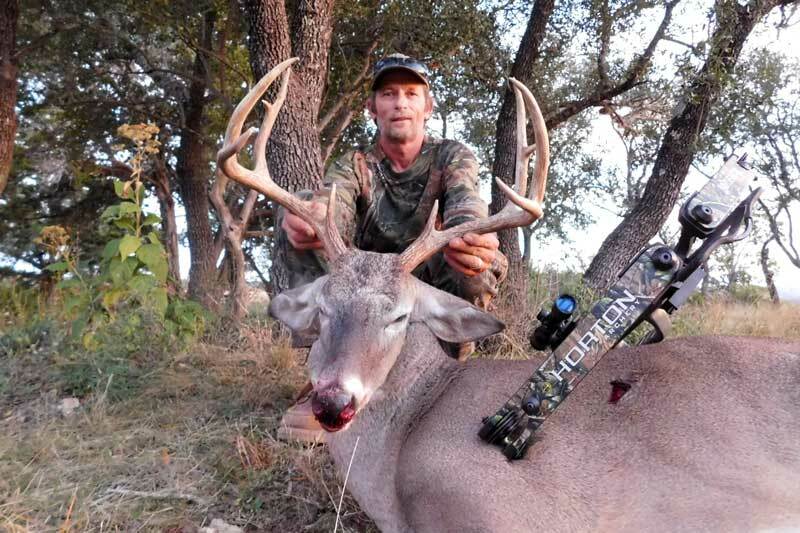 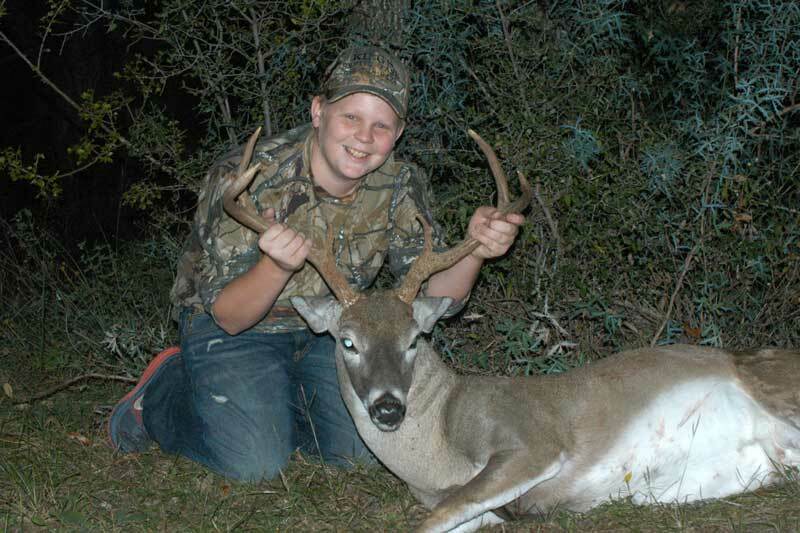 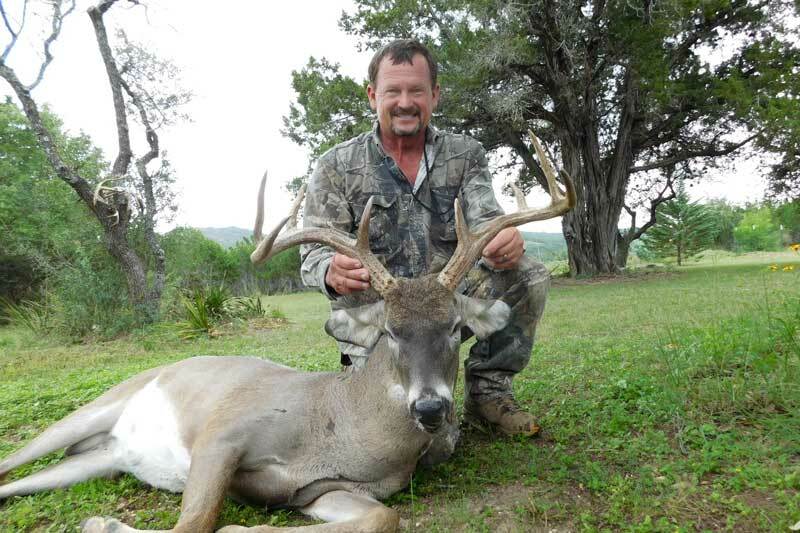 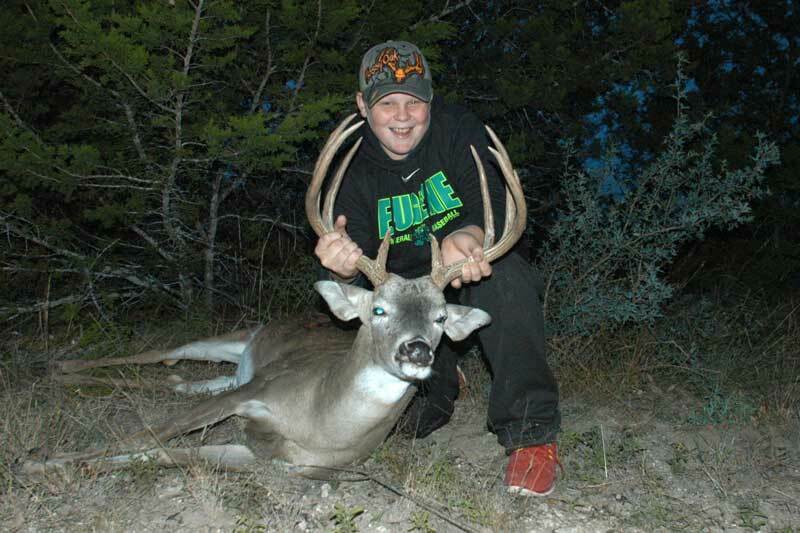 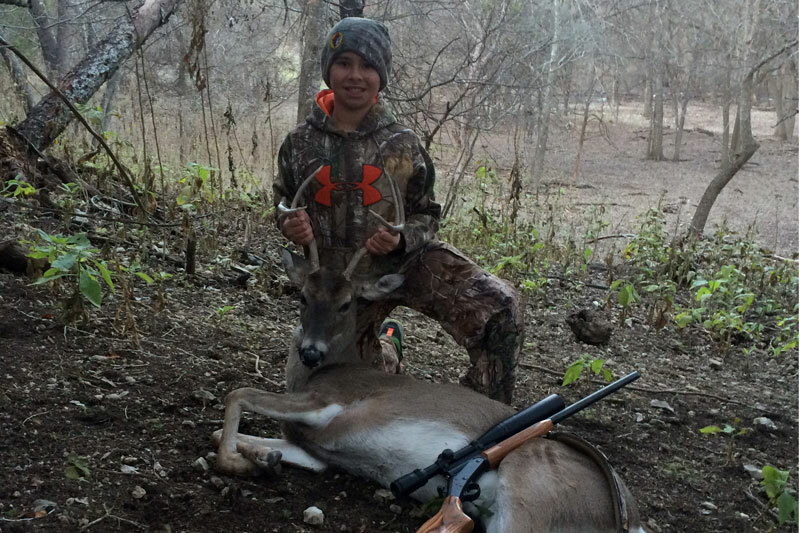 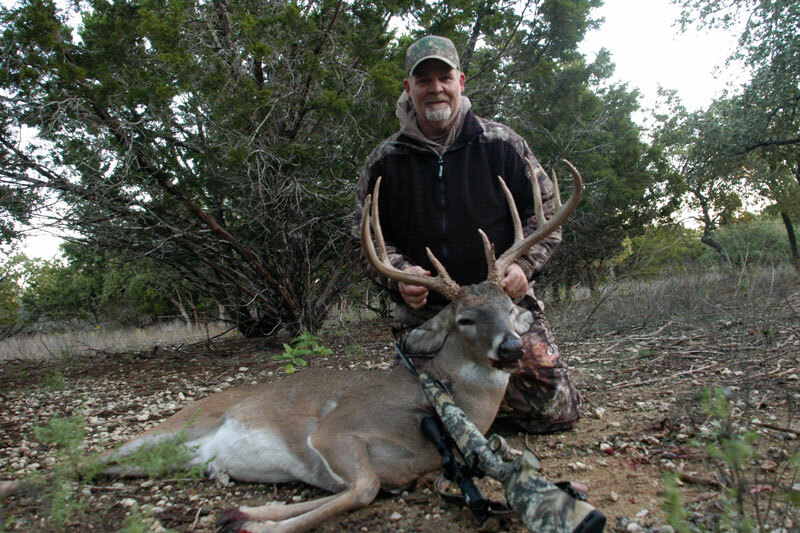 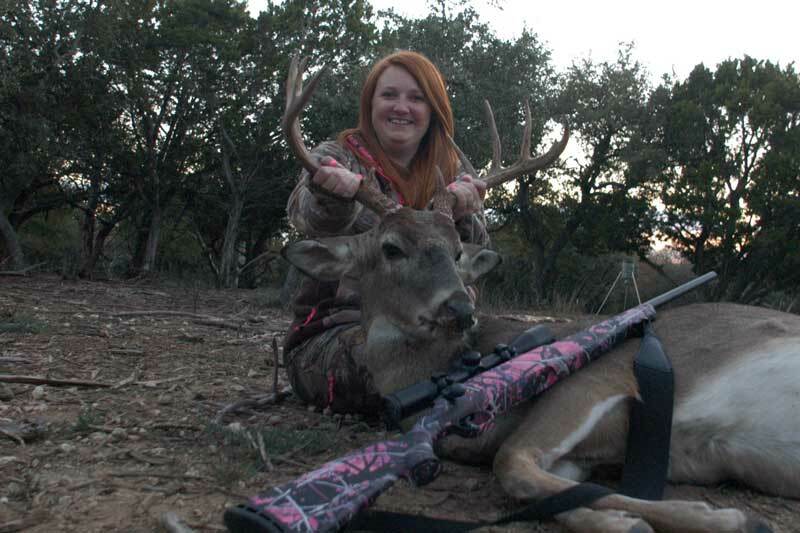 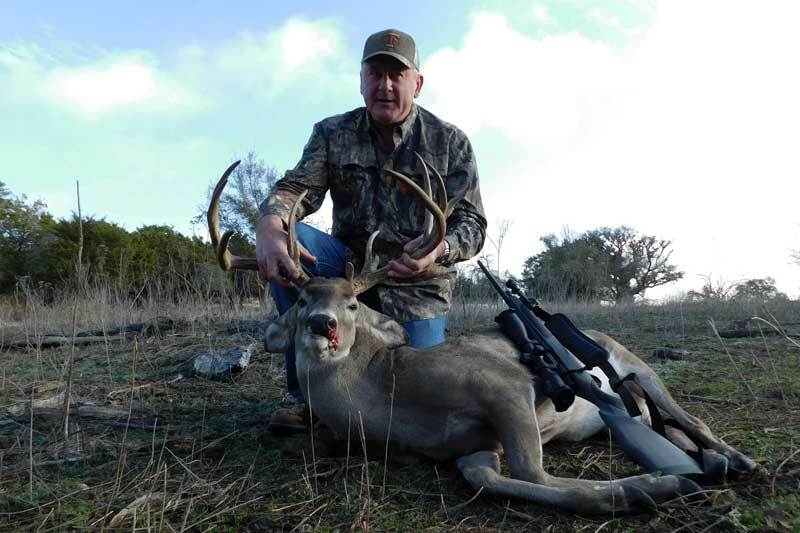 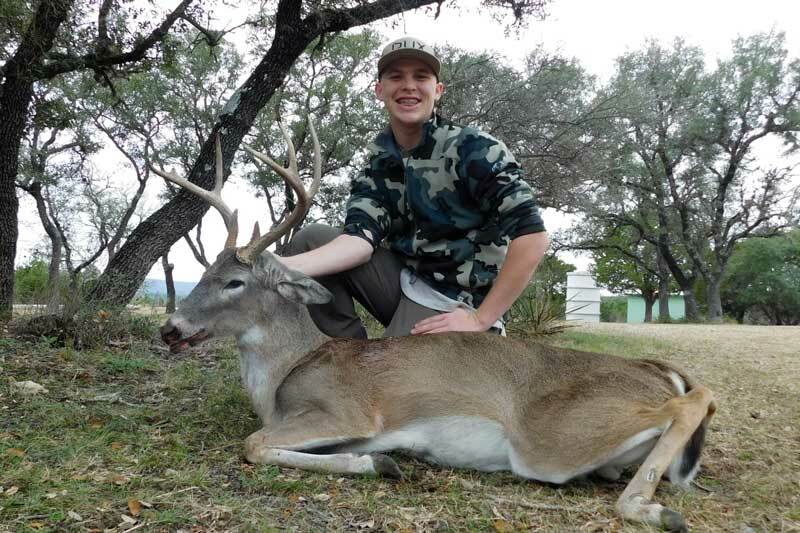 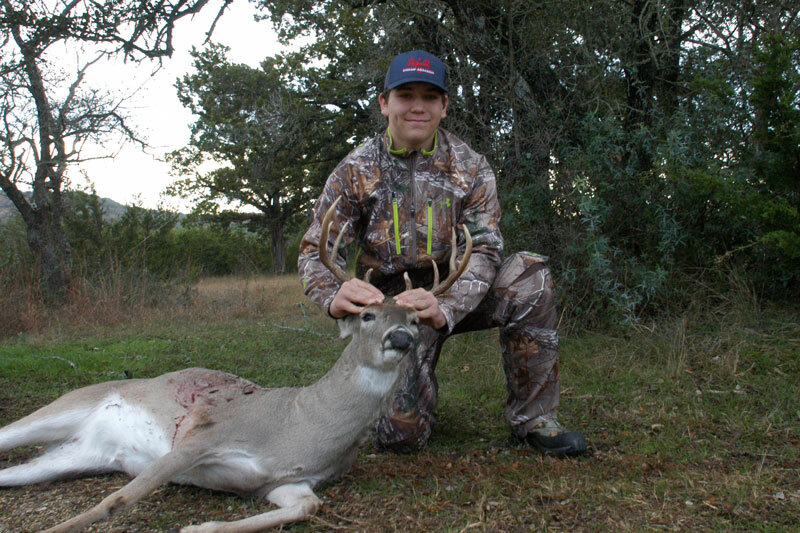 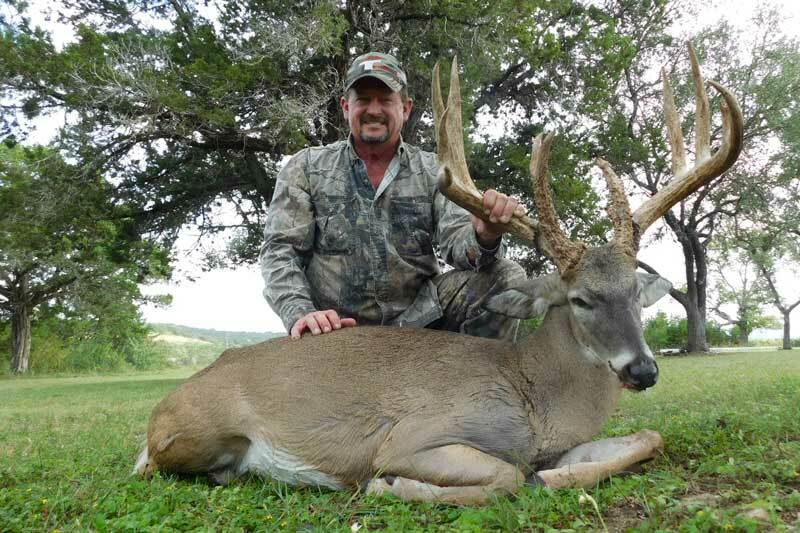 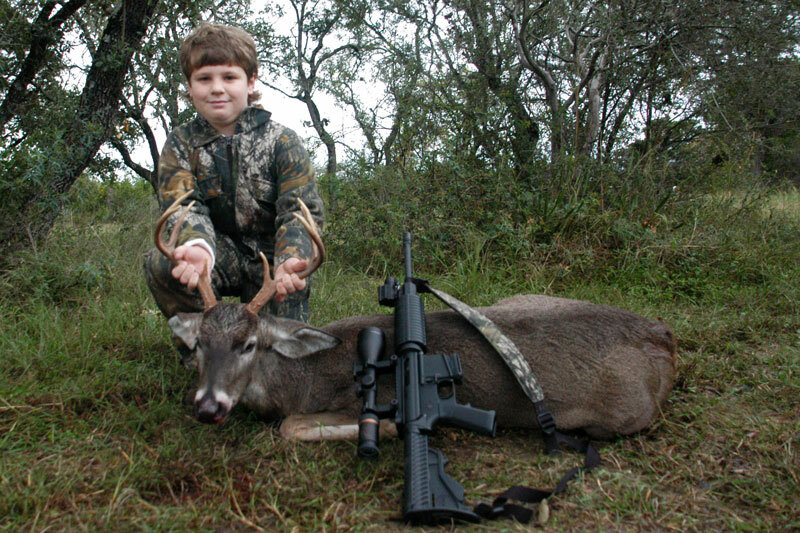 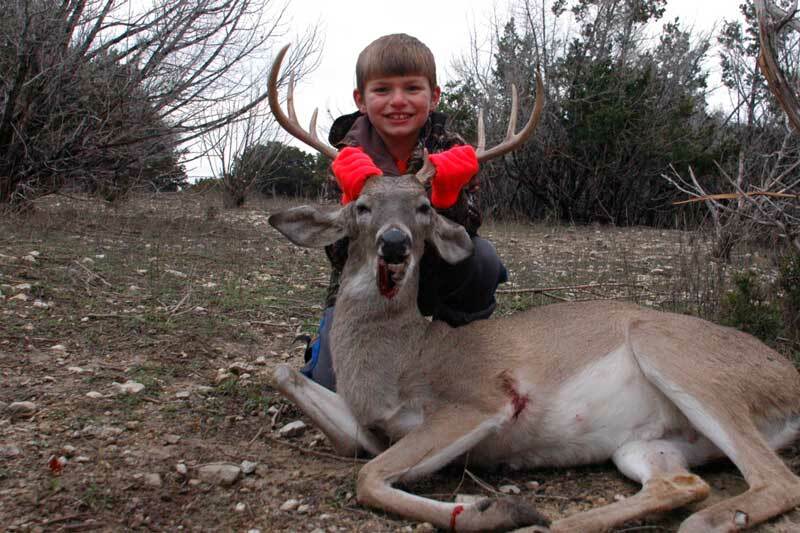 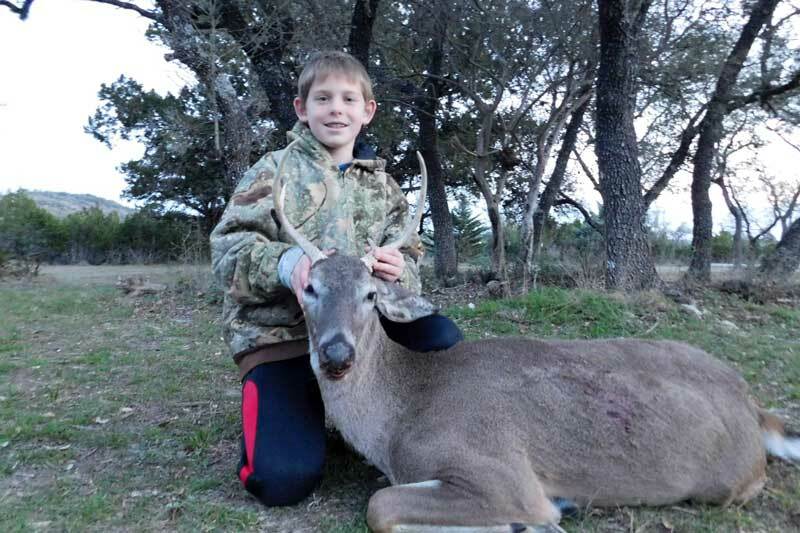 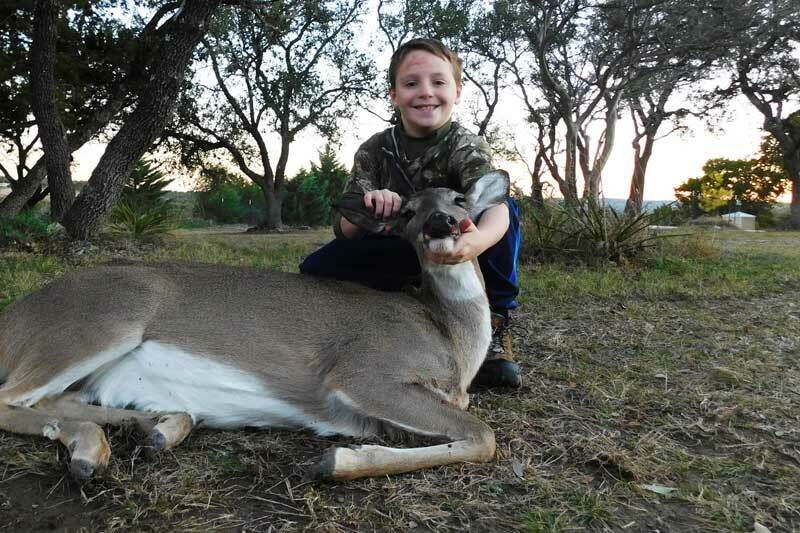 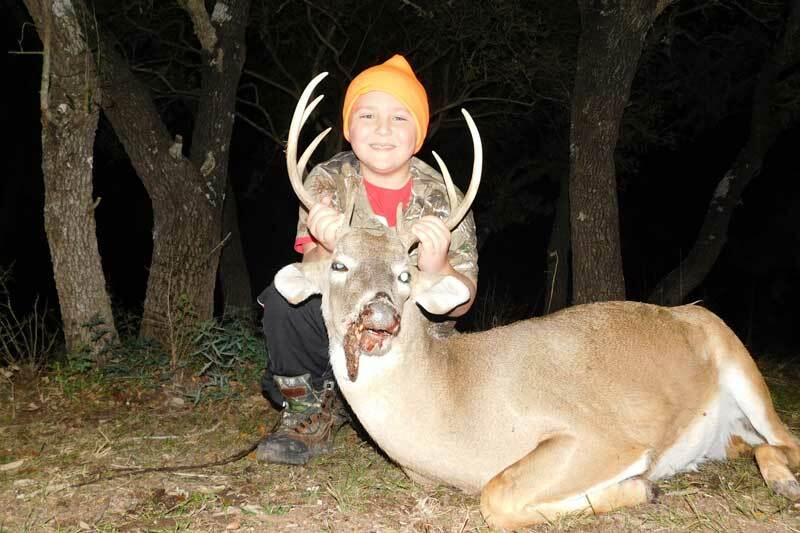 Under our Managed Lands Deer Permit we work with Texas Parks and Wildlife each year to establish our target Whitetail harvest and then receive permits to harvest these animals. 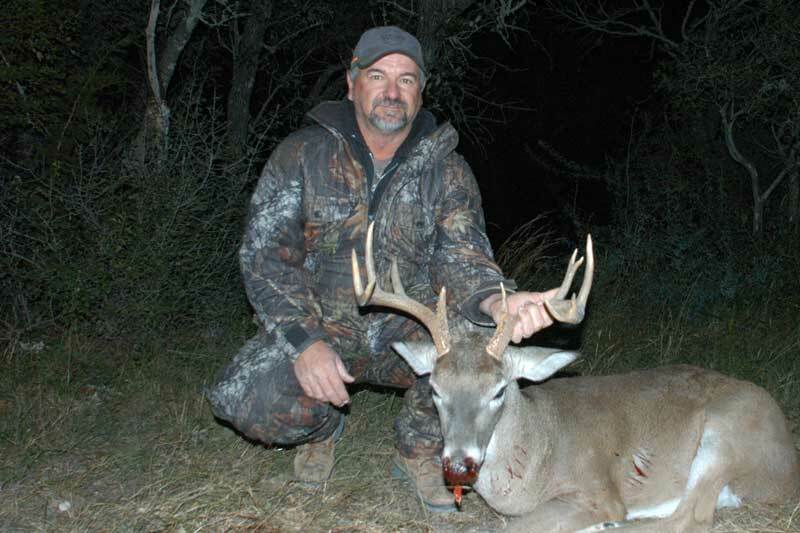 Because of this, we provide tags for all Whitetail hunts at Buck Valley Ranch. 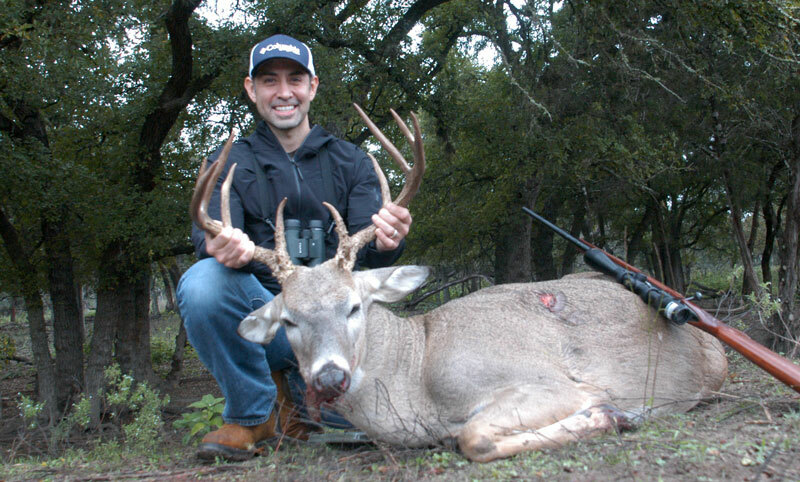 We work hard all year long to fine tune the delicate balance between opportunity and challenge. 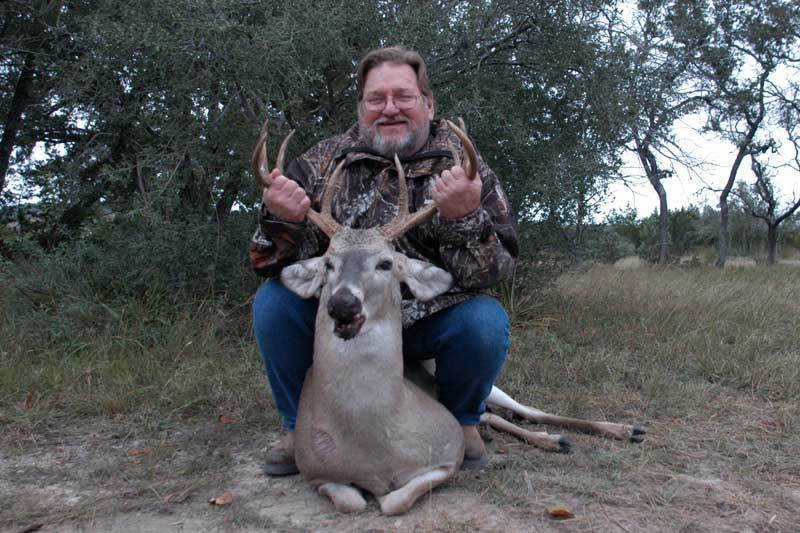 Whitetail hunting is no fun when you don’t see any Whitetail. 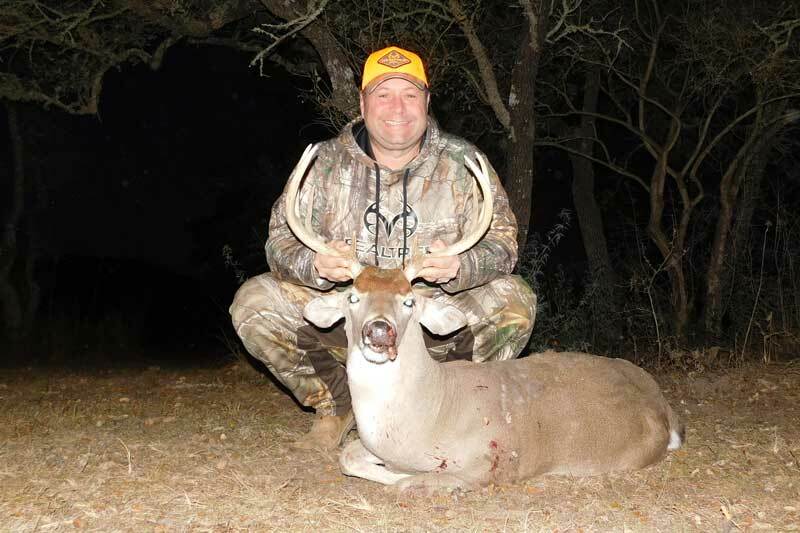 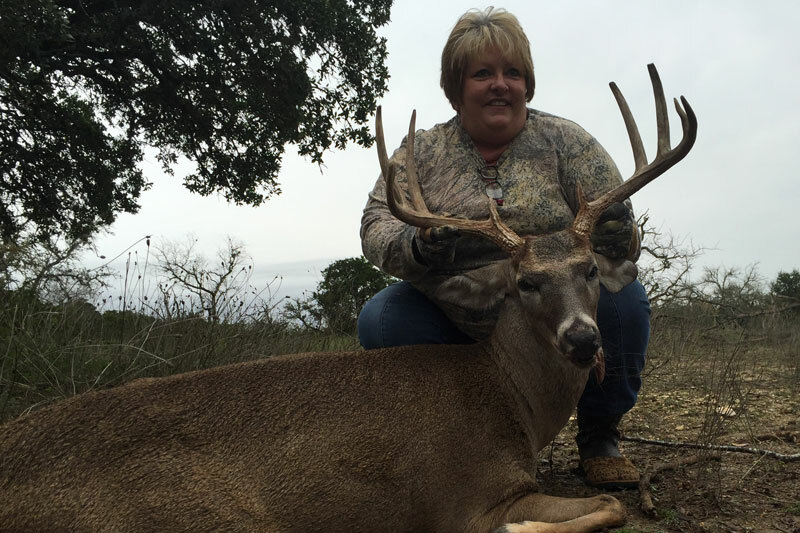 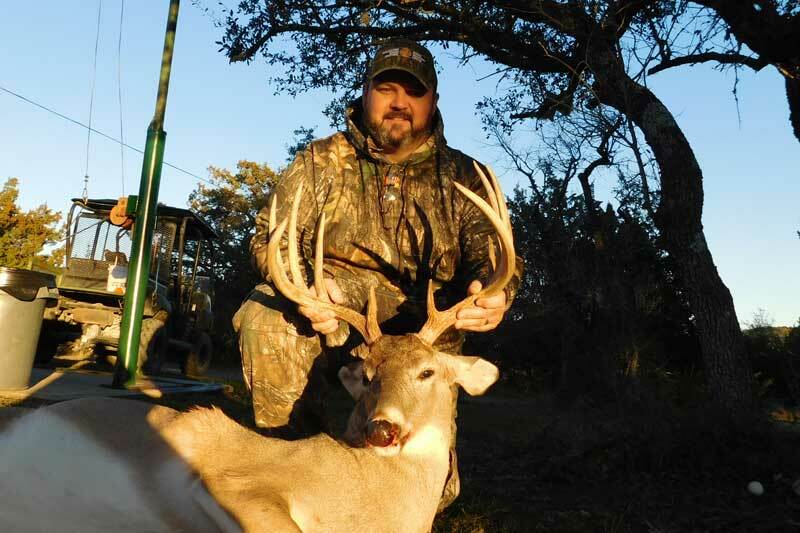 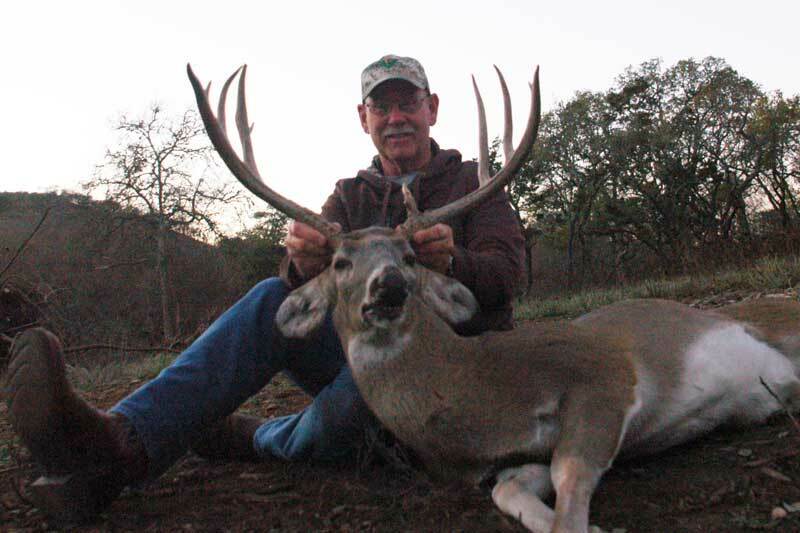 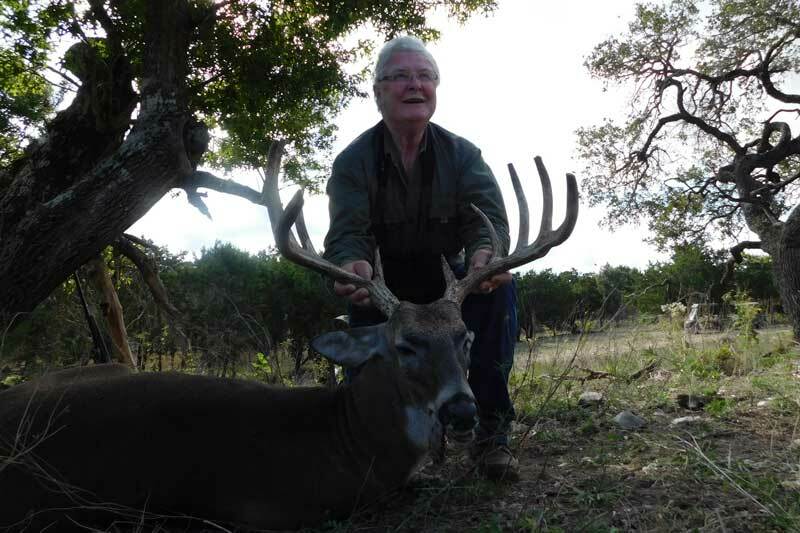 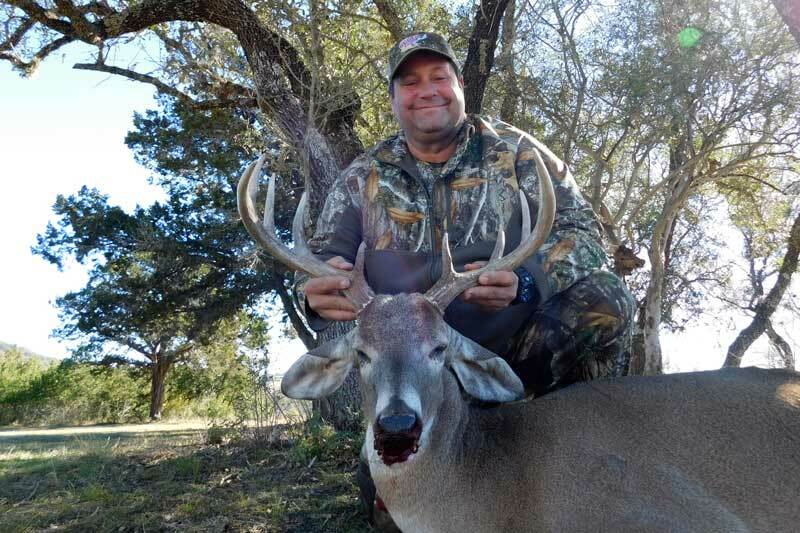 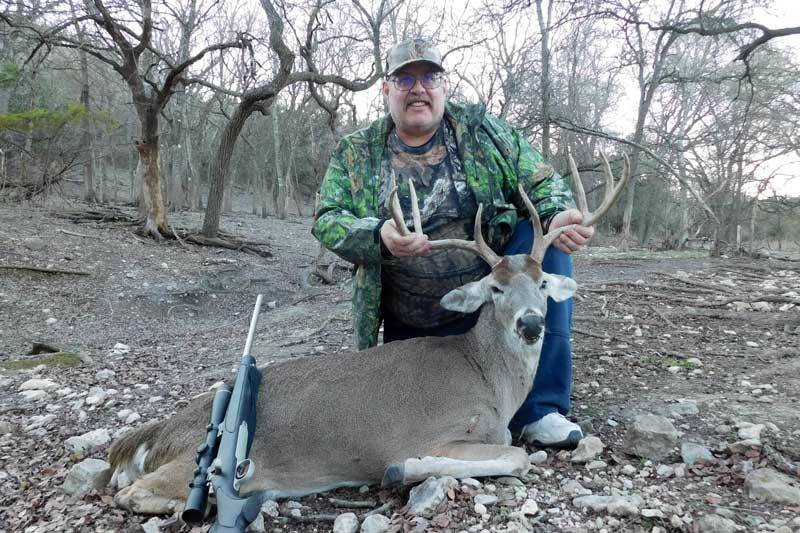 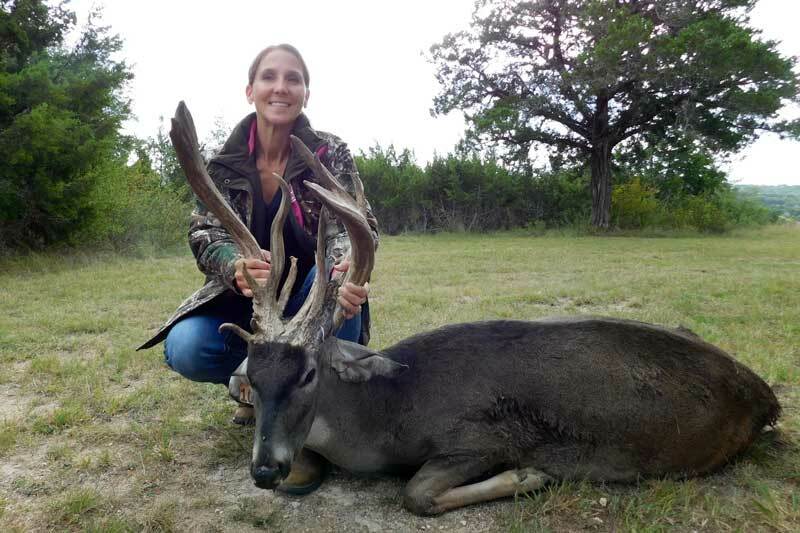 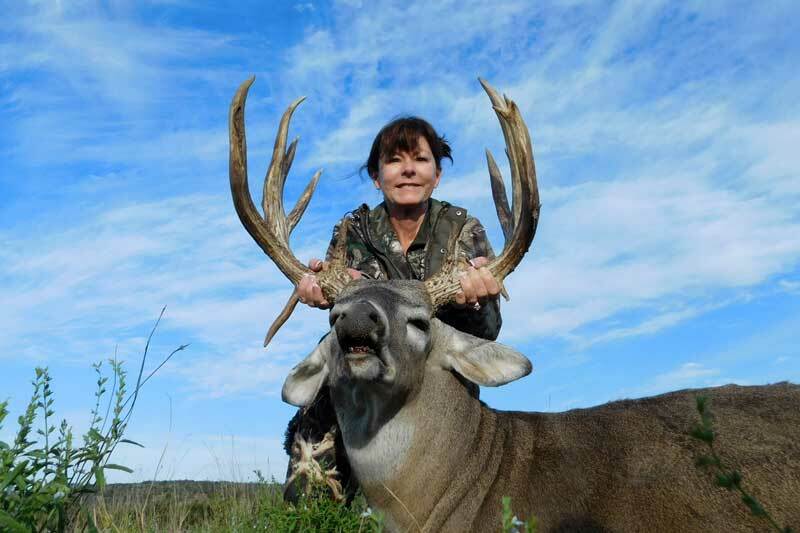 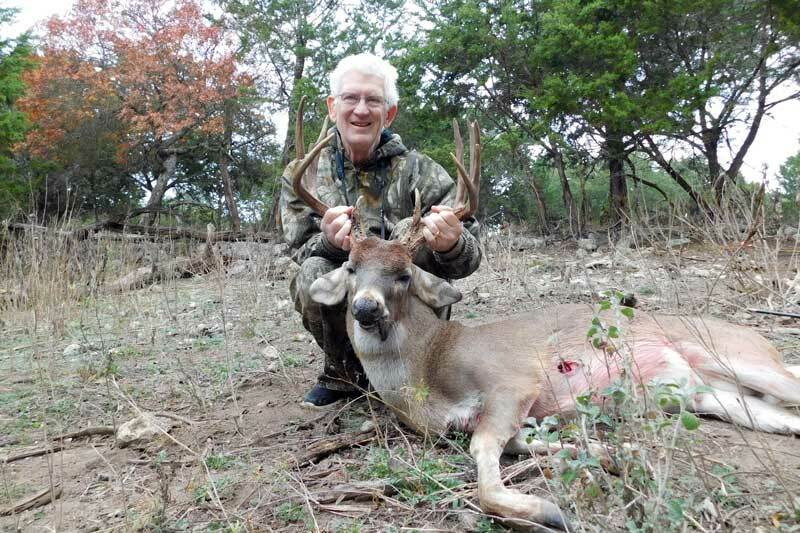 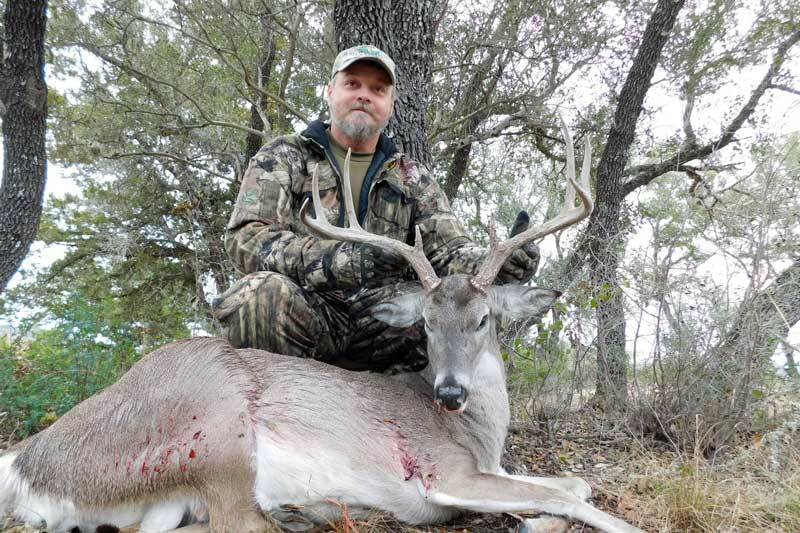 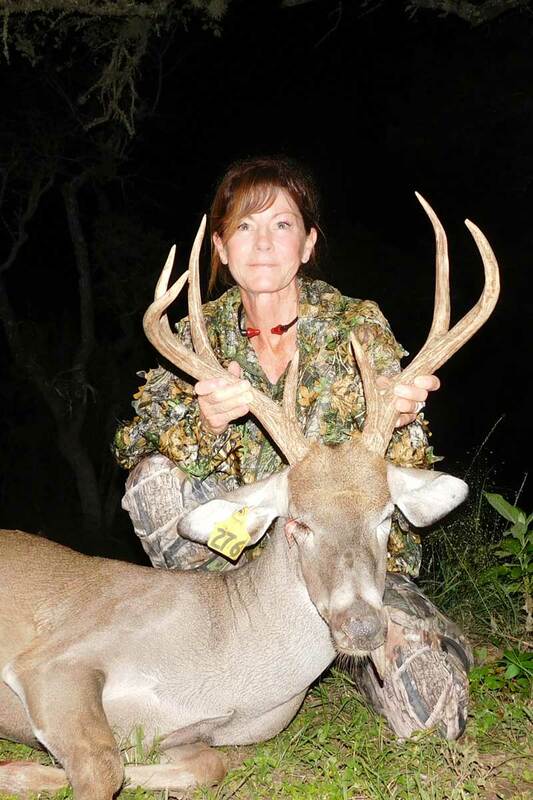 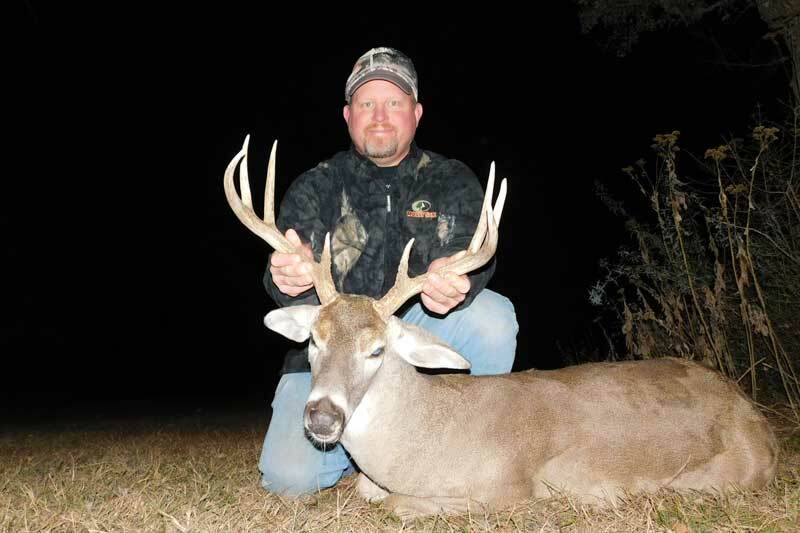 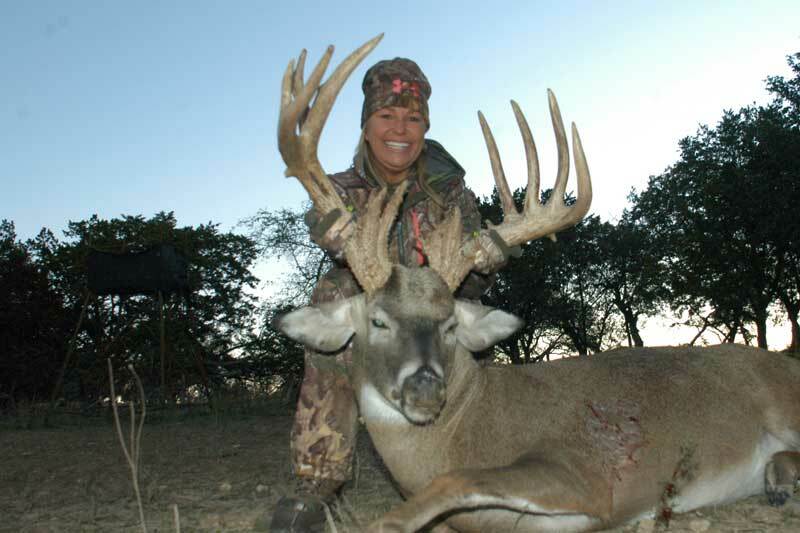 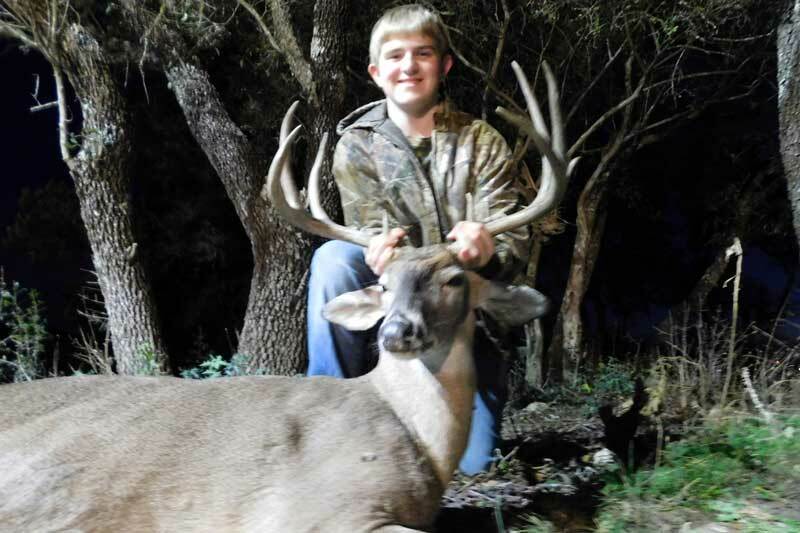 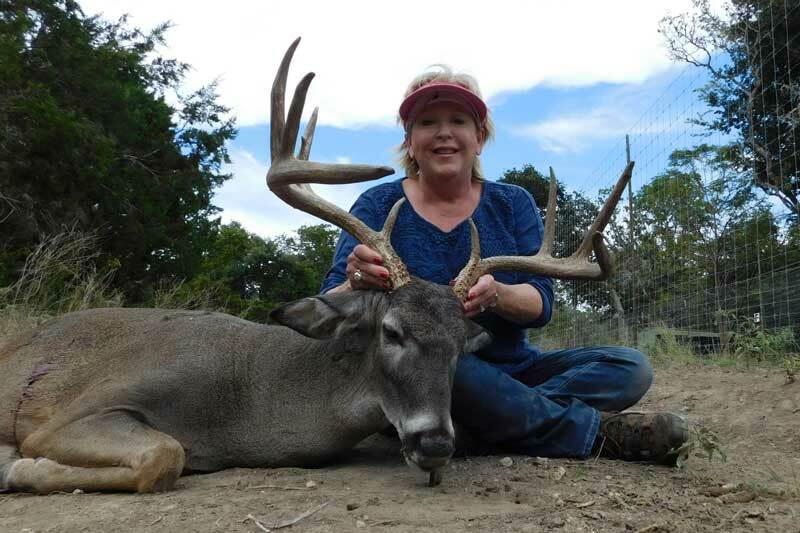 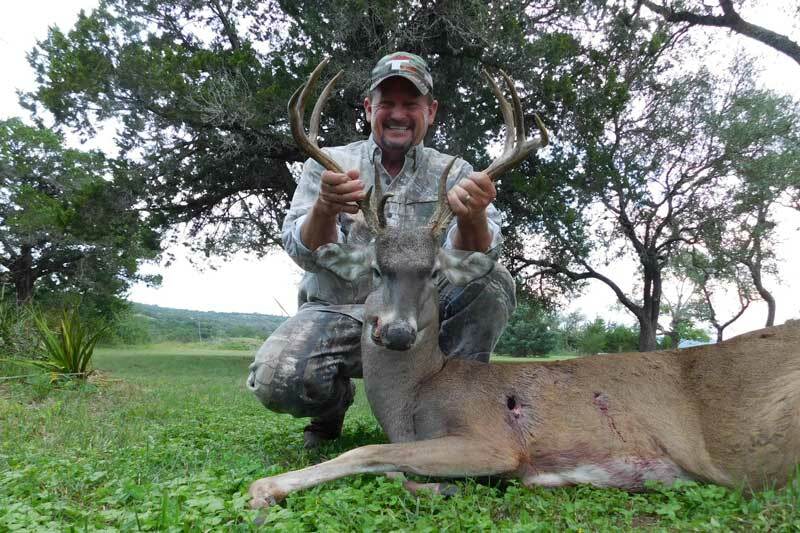 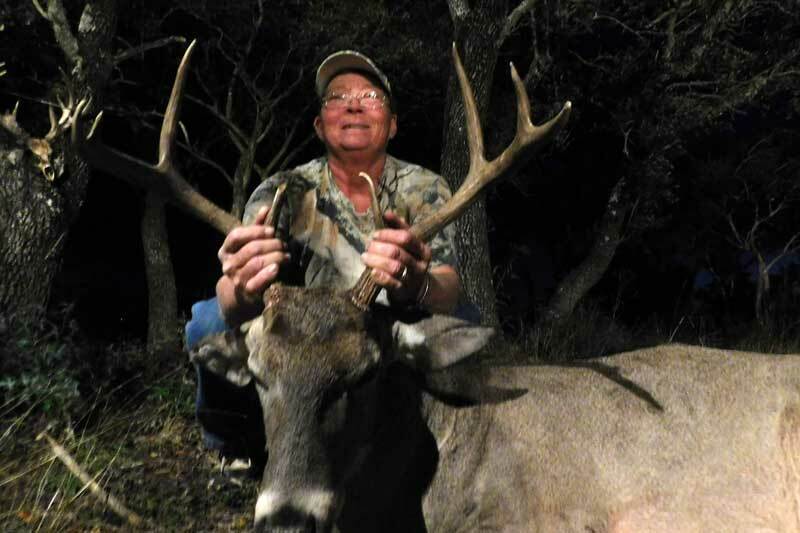 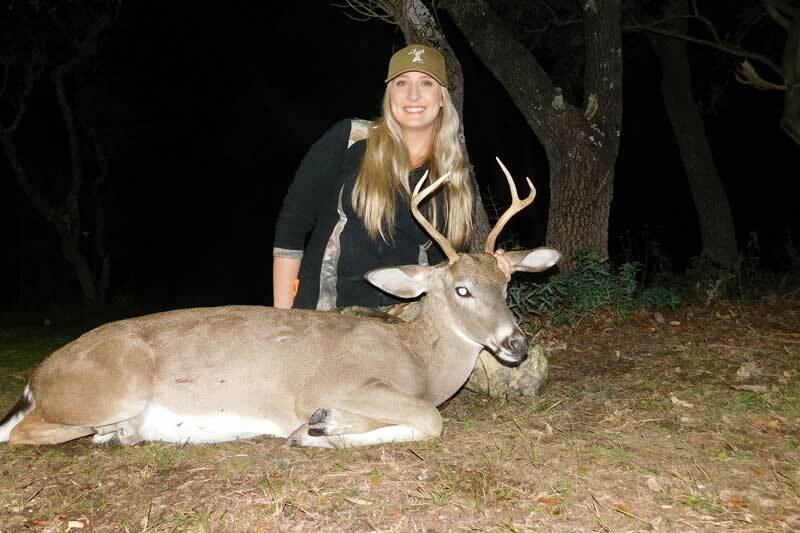 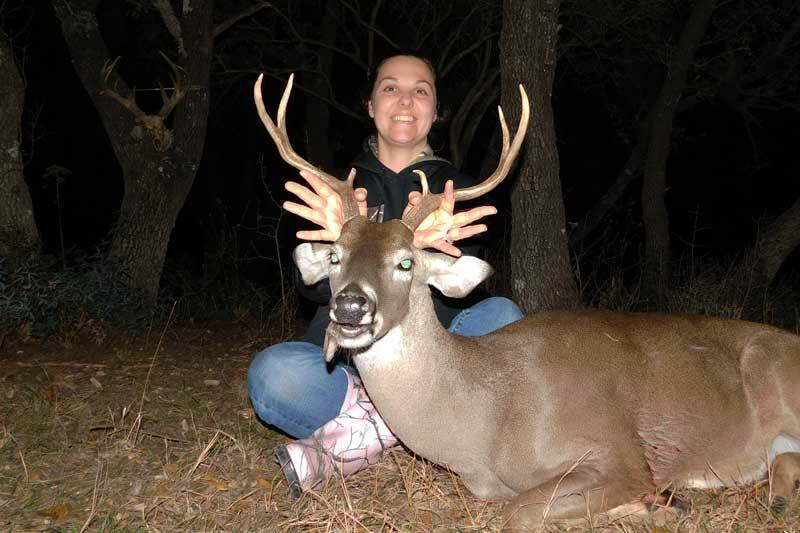 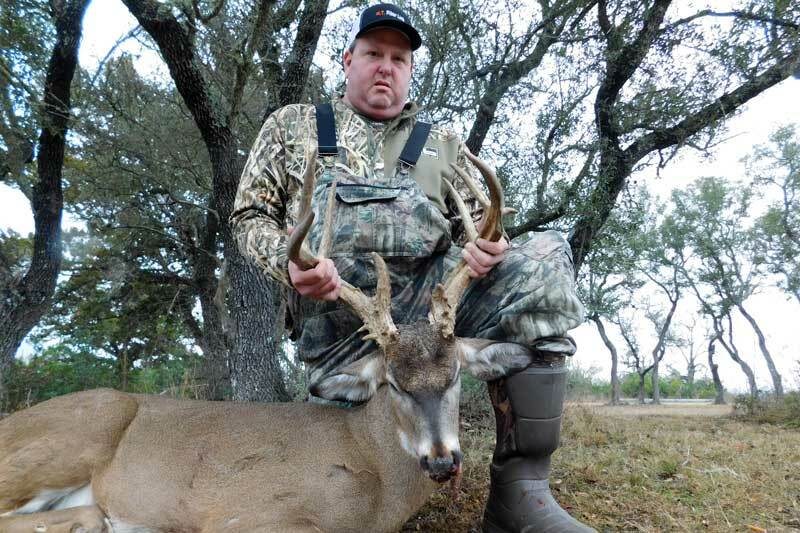 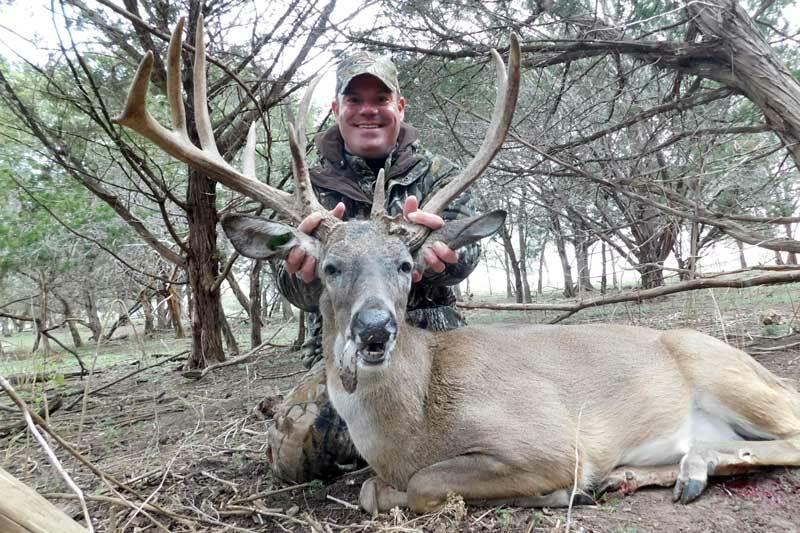 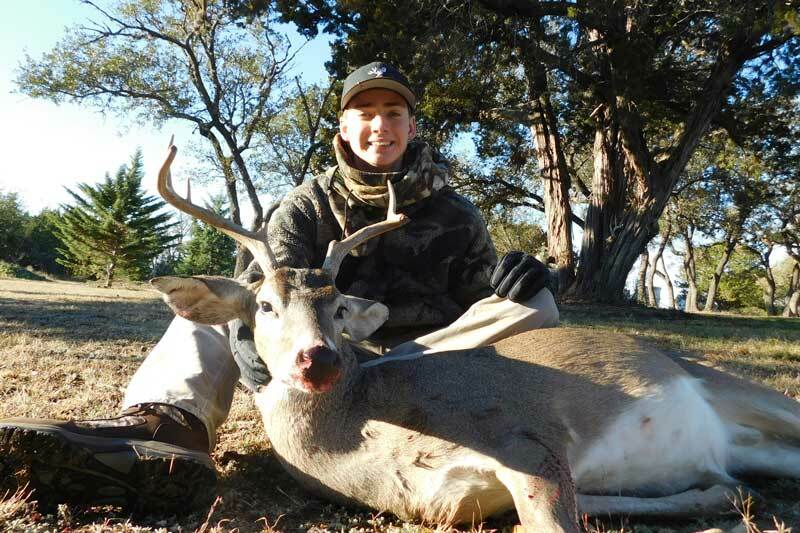 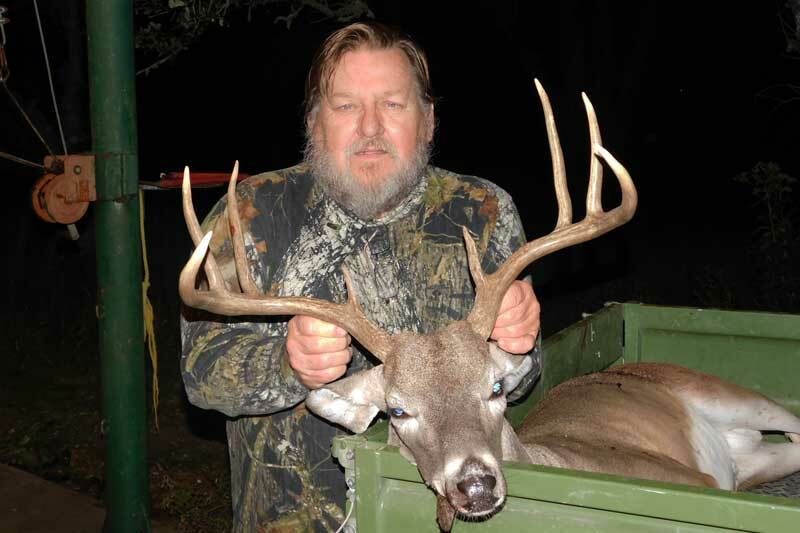 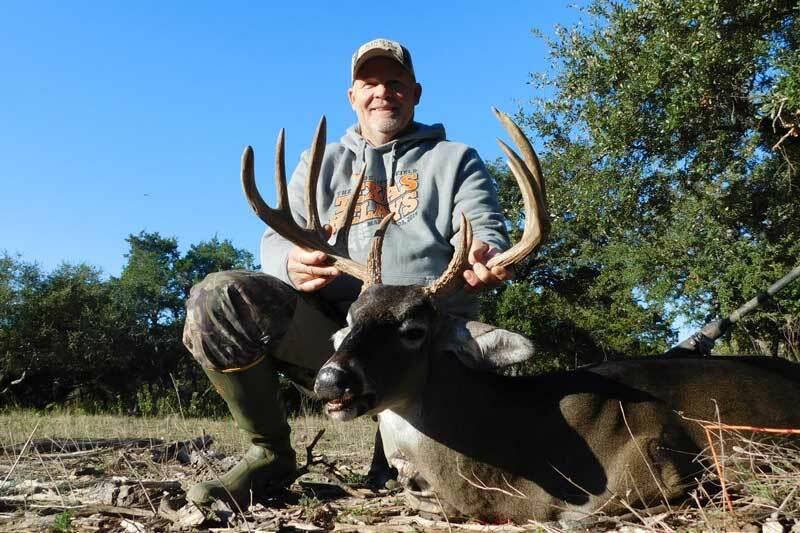 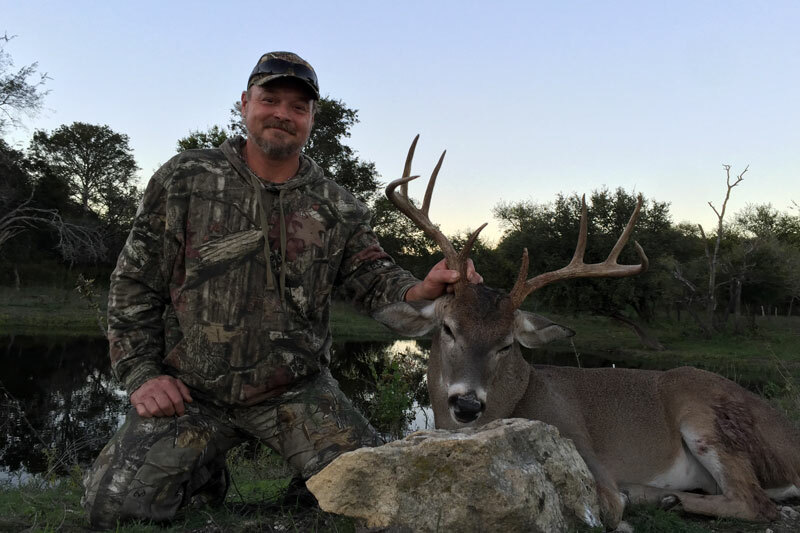 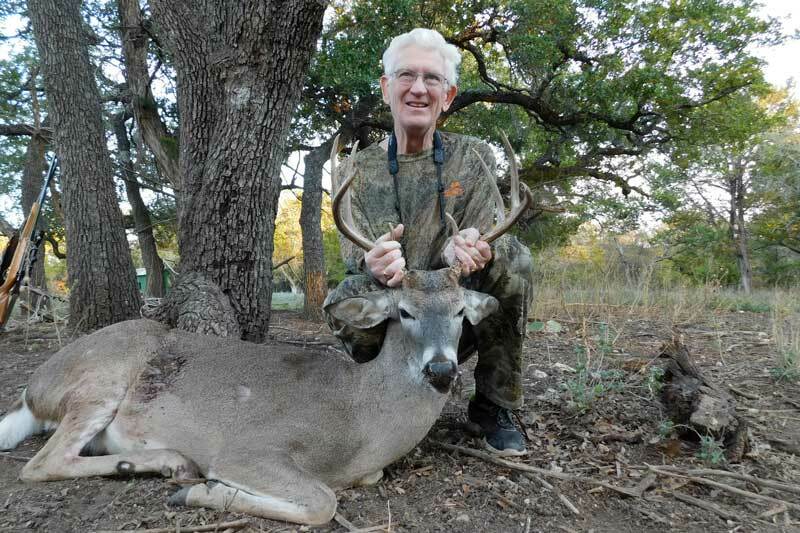 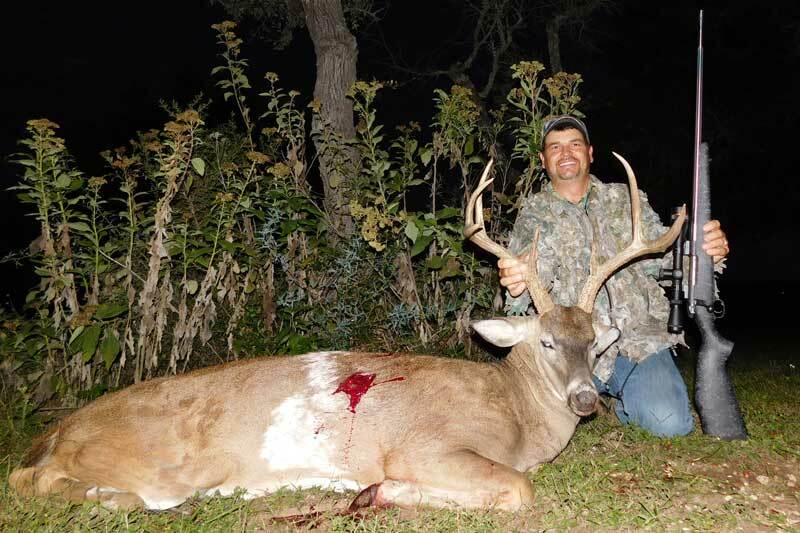 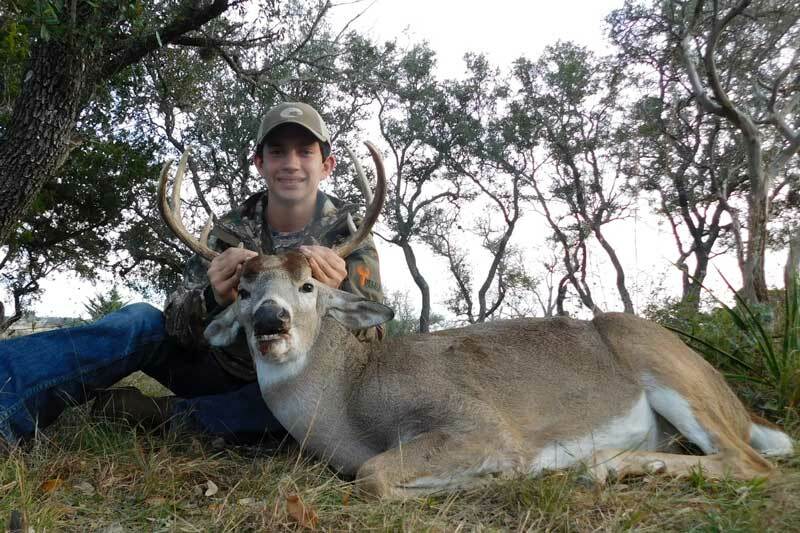 Careful habitat management, planned harvests, effective supplemental feeding and introduction of bucks from our breeding program ensure you’ll see Trophy Texas Whitetail bucks. 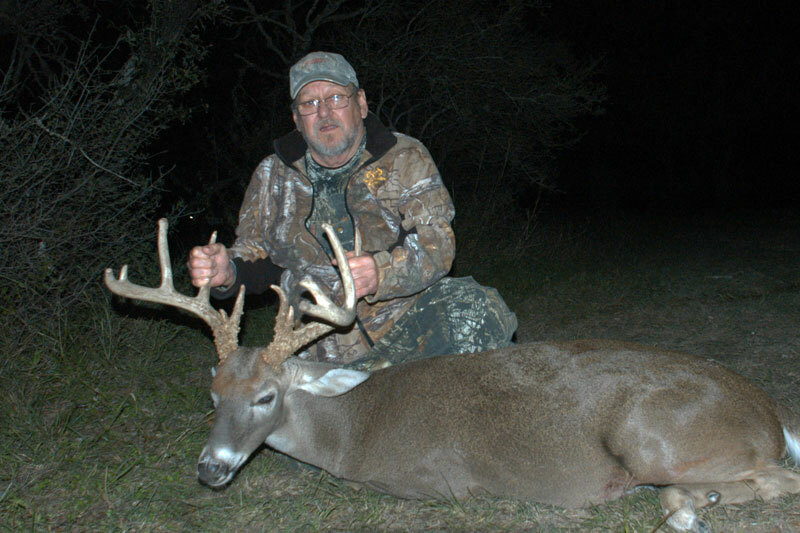 Our hunters consistently tell us that they see more and better Whitetail, as well as exotic game, here than anywhere else. 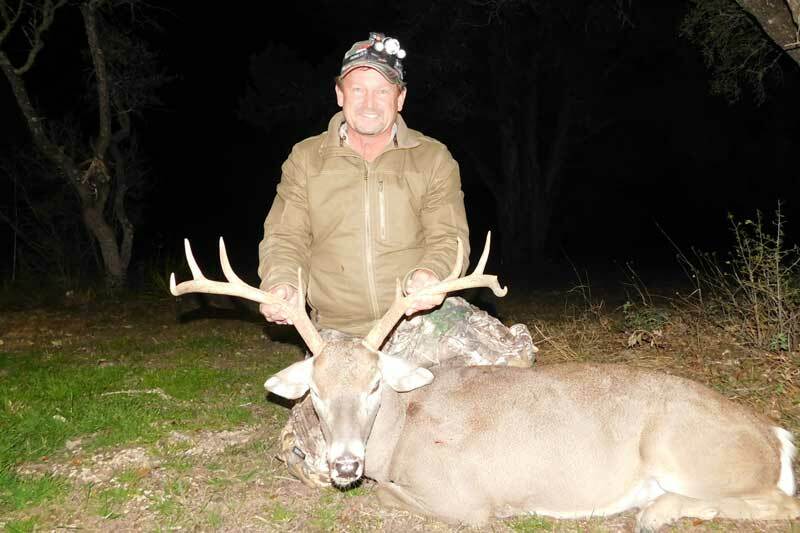 We’re intensely focused on the total experience so that you and your companions not only have a great hunt but also have a great time. 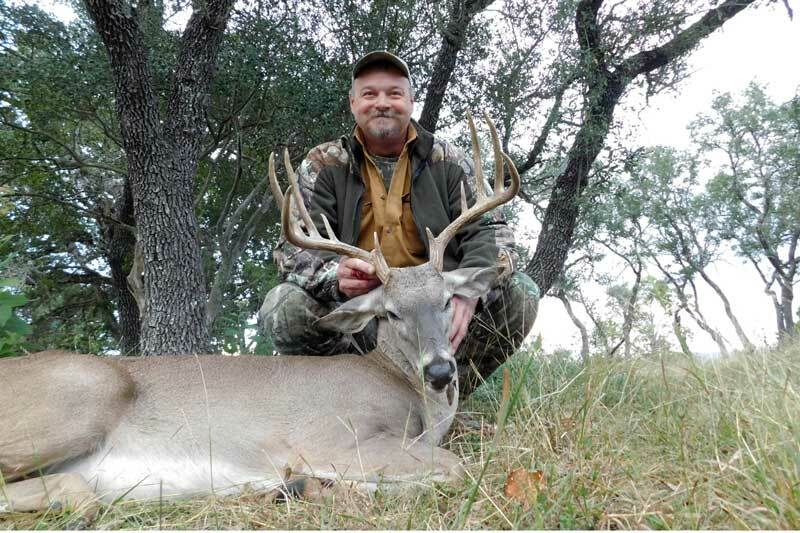 Our dedication to providing hunters with the ultimate whitetail hunting experience means that they return to enjoy our hospitality year after year. 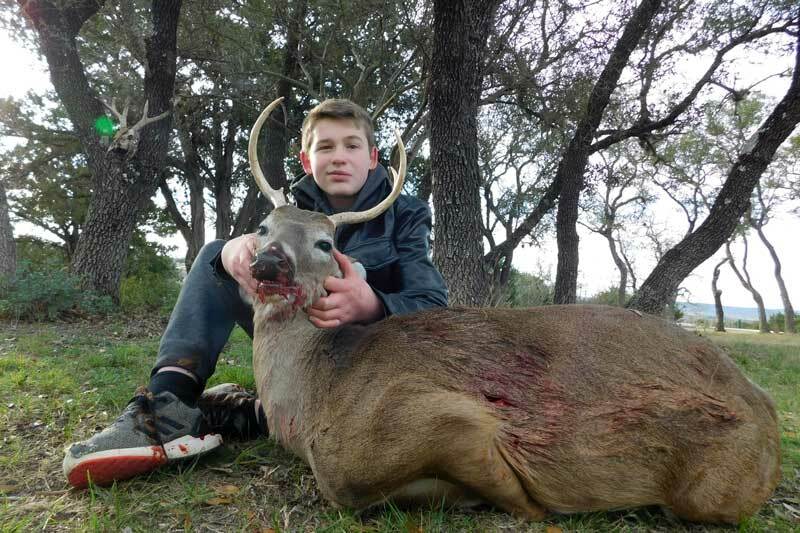 You, choose the style of hunting. 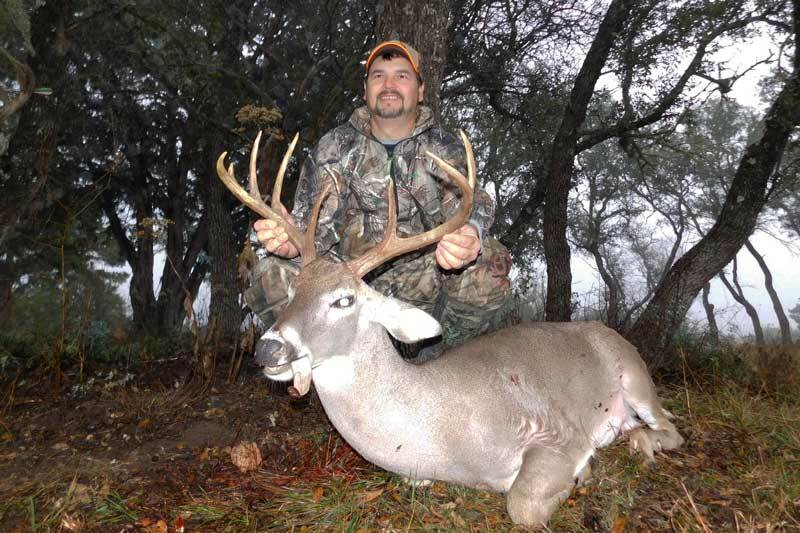 Box blinds work great for many hunters but aren’t even a possibility for bow hunters. 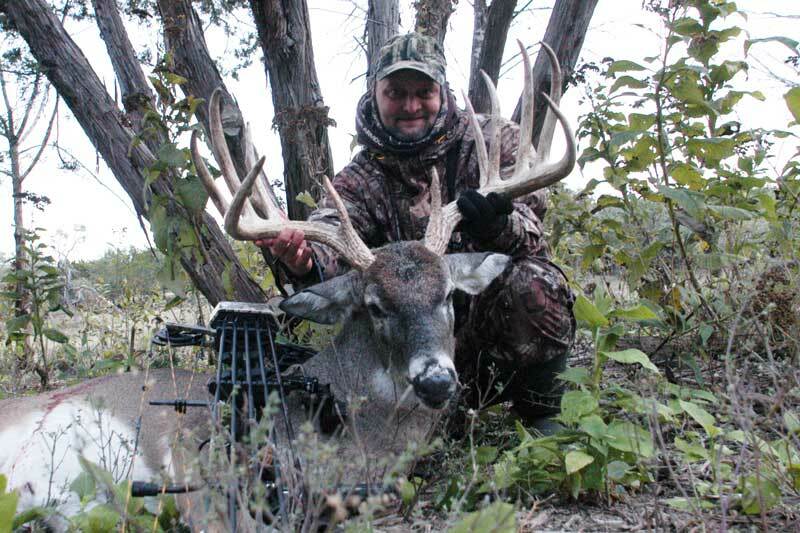 Elevated bow stands, tree stands and permanent ground blinds frequently fill the bill for them. 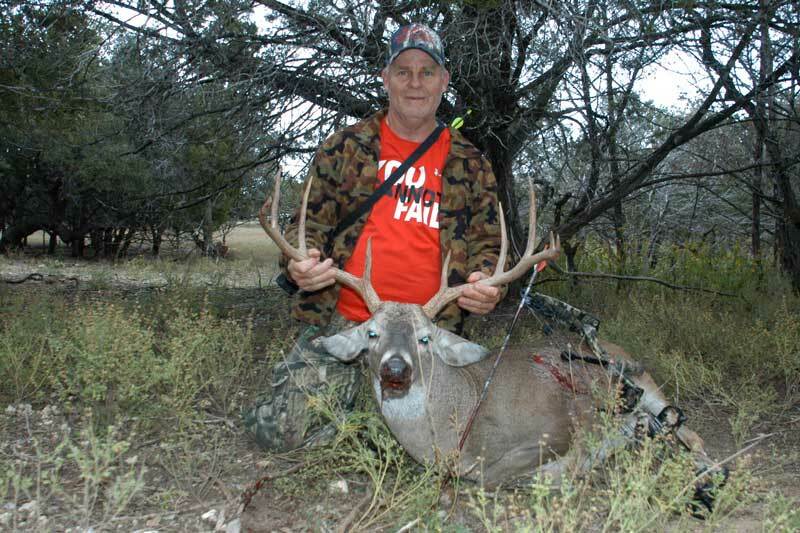 Semi-guided hunting where you hunt alone with the support of a guide is also available. 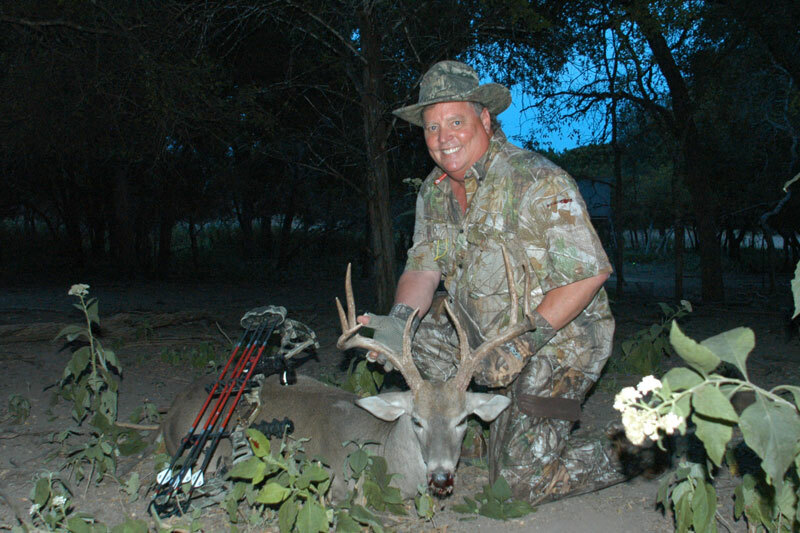 Our guides are ready to adapt to your wants and needs. 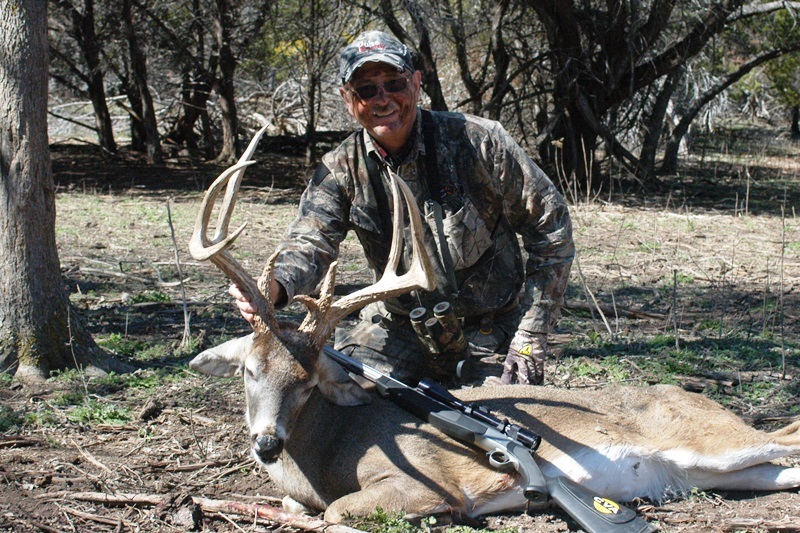 The guides at Buck Valley Ranch have guided here for years and know the terrain. They know how to judge the animals and work to put you in position to harvest the animal you want. 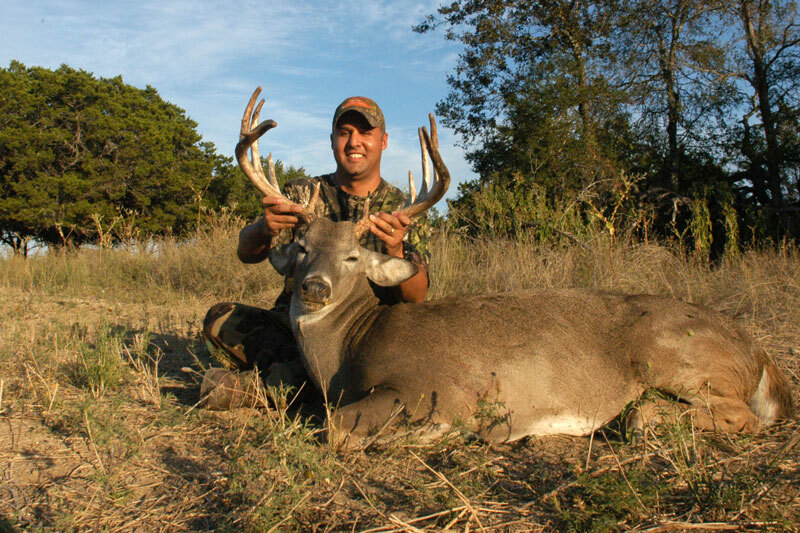 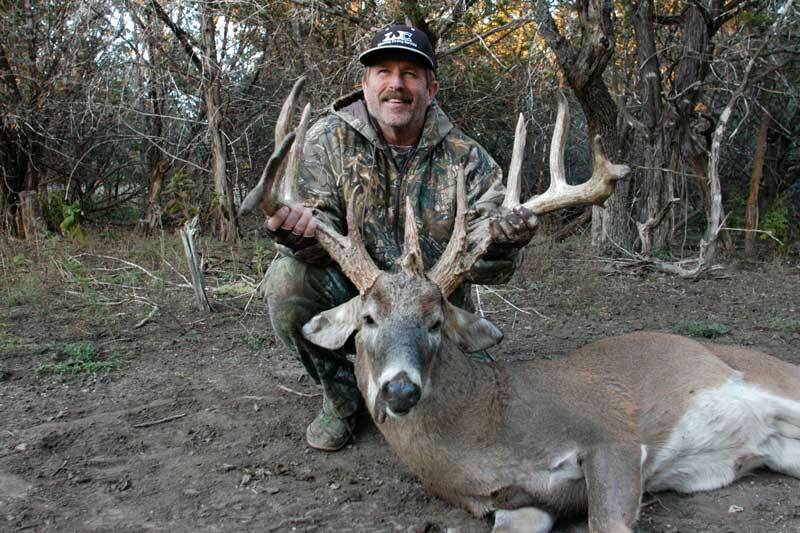 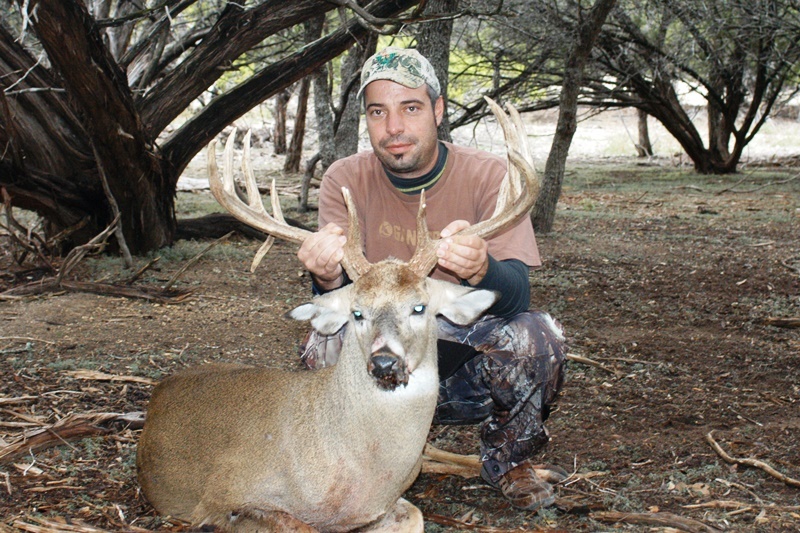 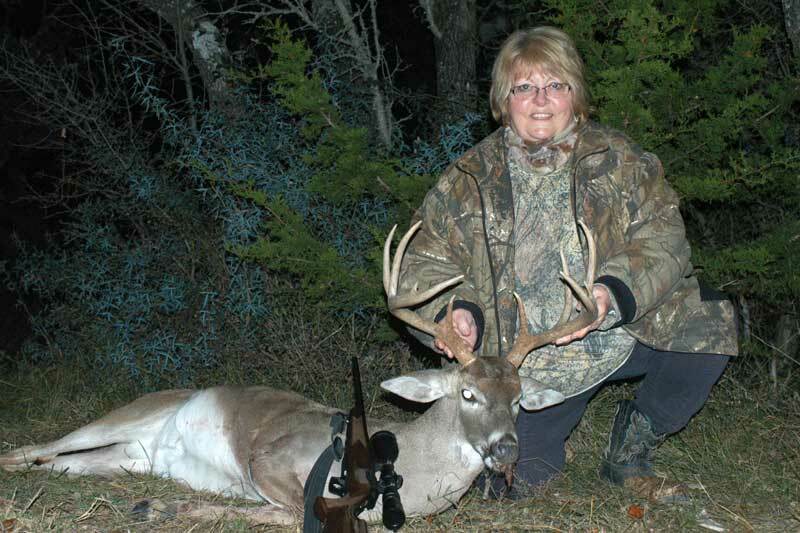 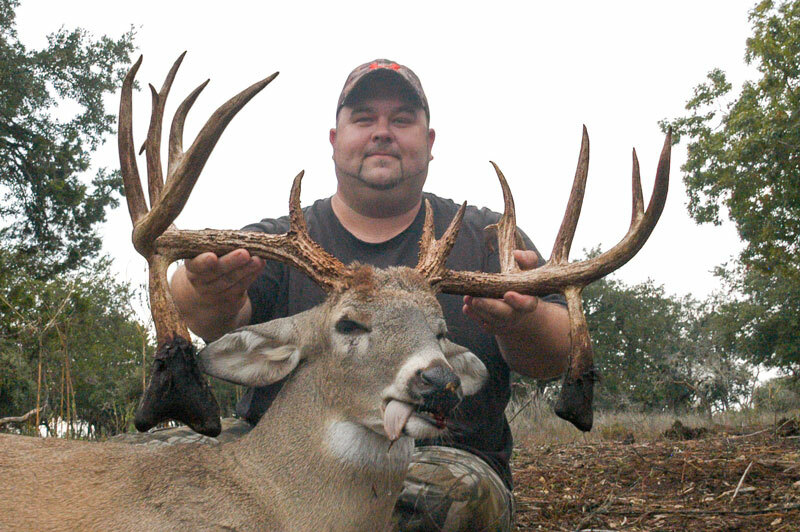 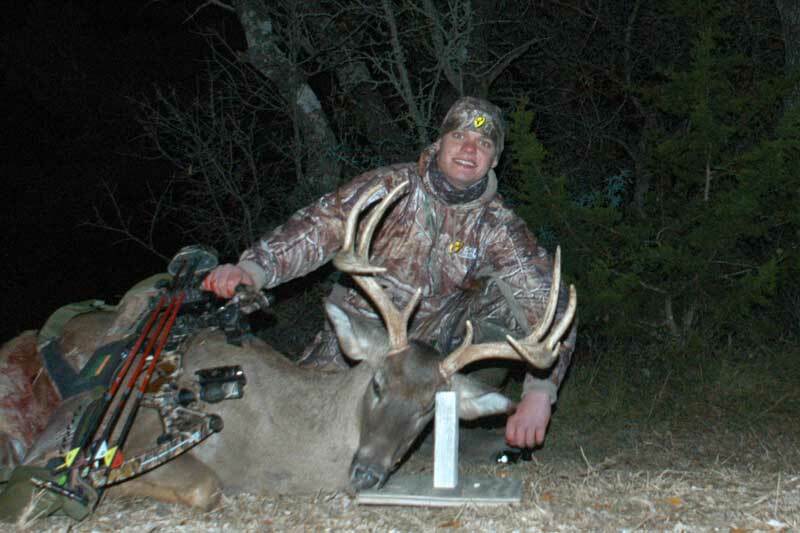 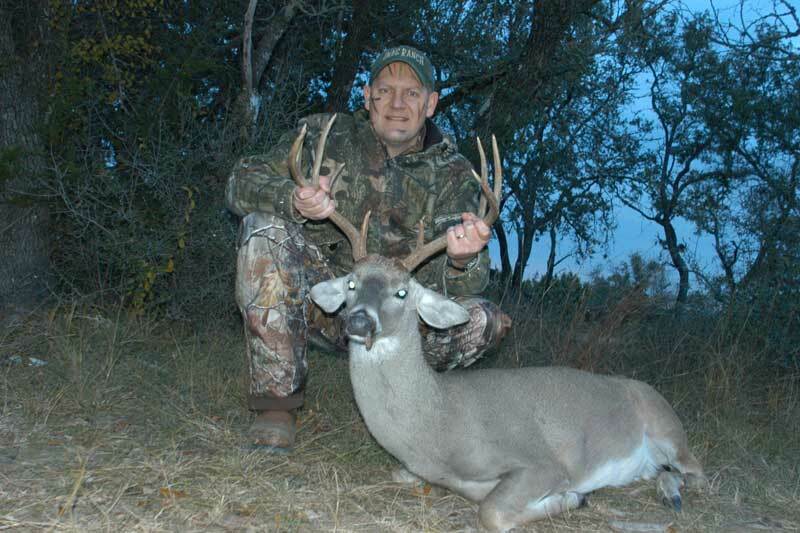 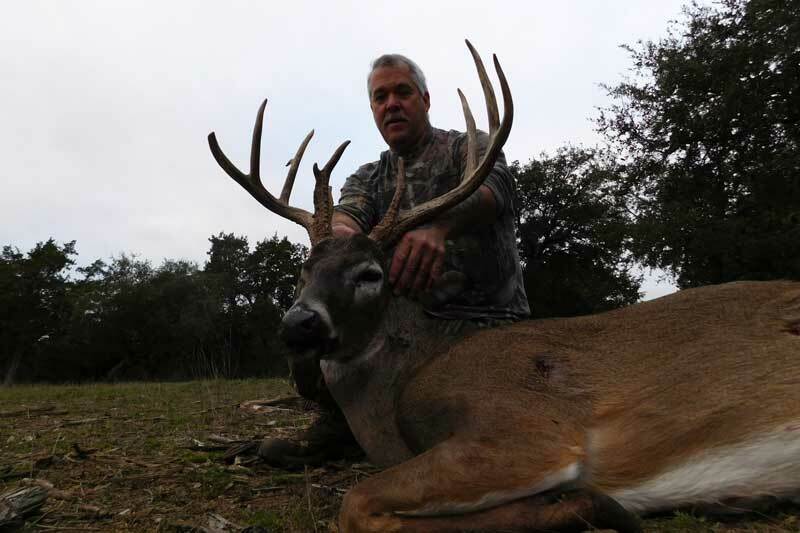 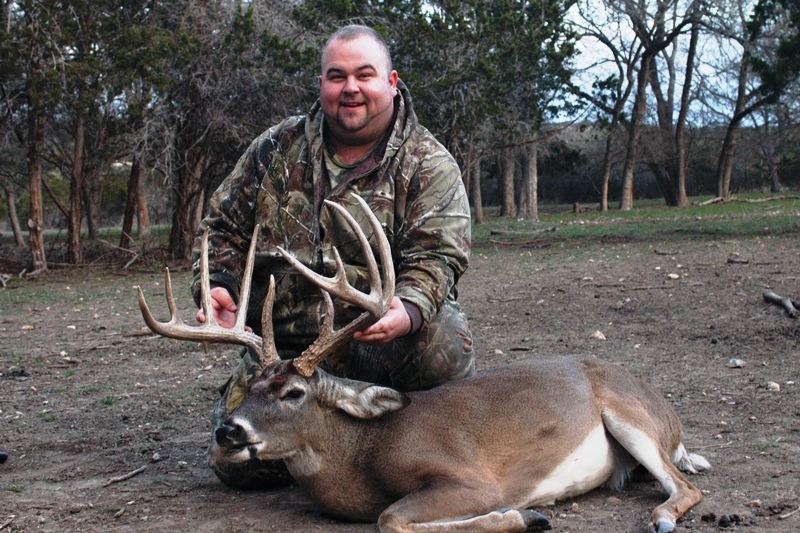 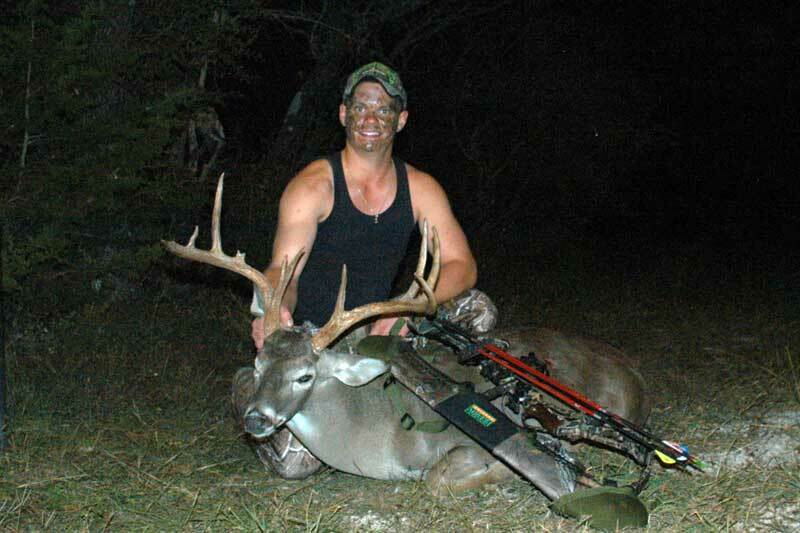 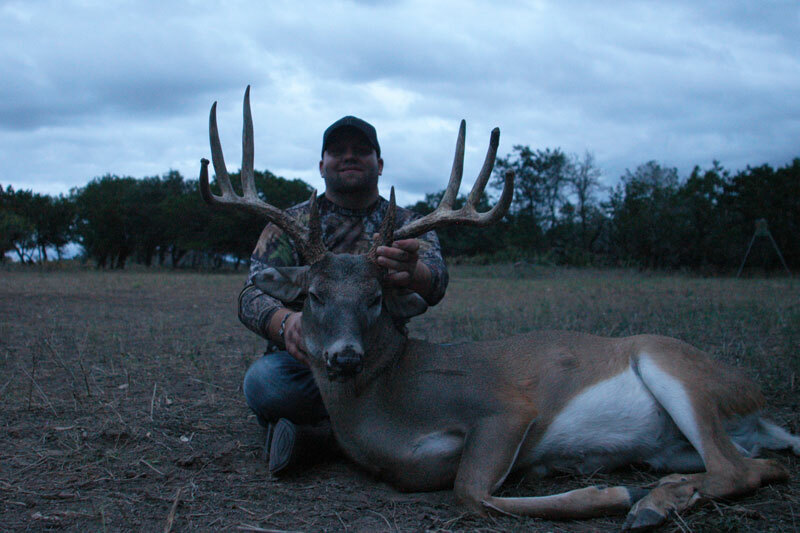 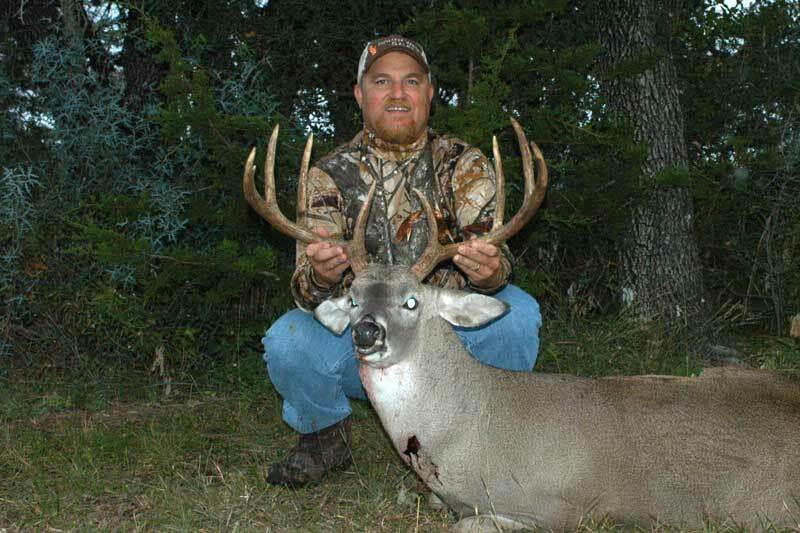 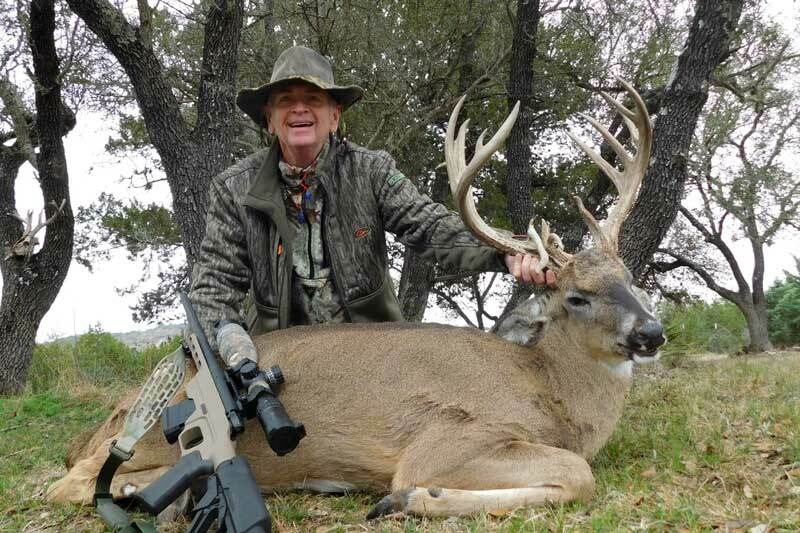 We look forward to providing a Whitetail hunting trip that you’ll never forget. 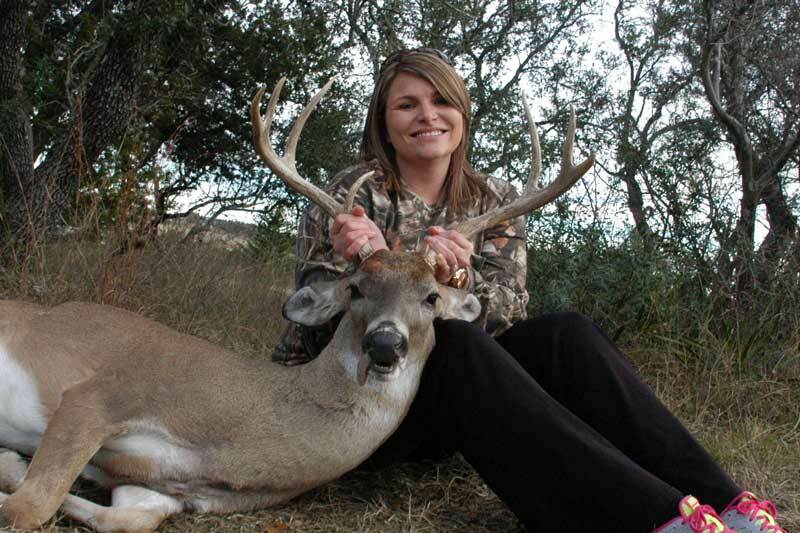 The package consists of a three-day, two-night hunt with animal, guide and lodging all included. 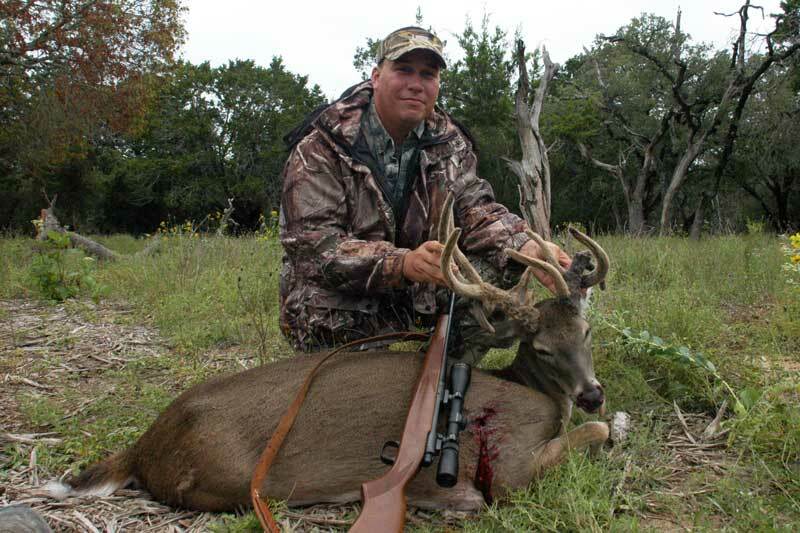 A meal and beverage plan is available for $150 per person extra. 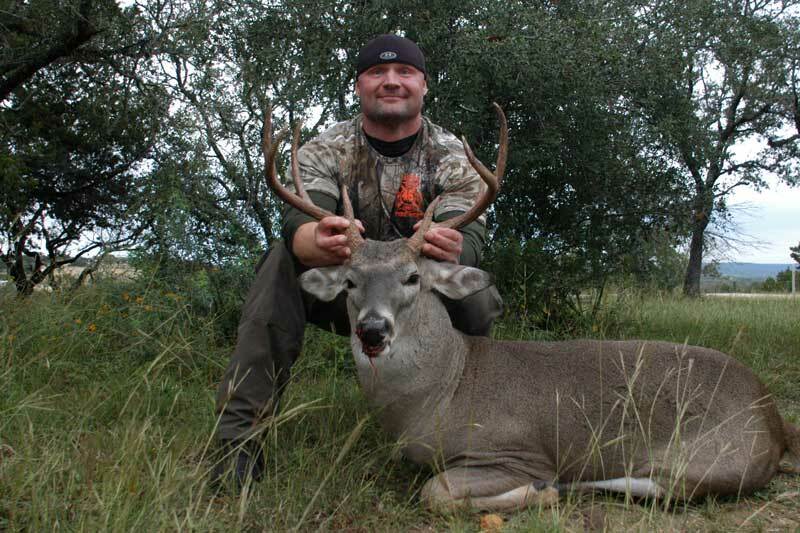 Extra days are $300 without meals or $375 with meals and beverages. 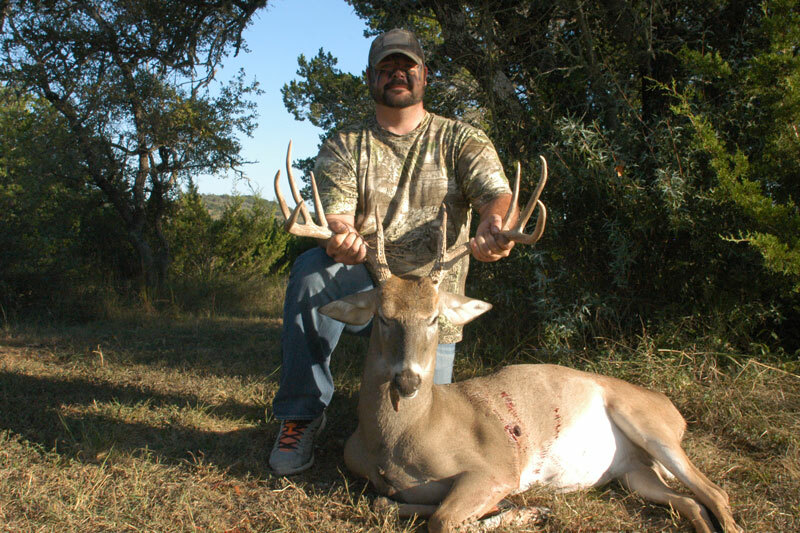 Your non-refundable deposit of $1,000 reserves both your hunting dates and your Whitetail tag(s). 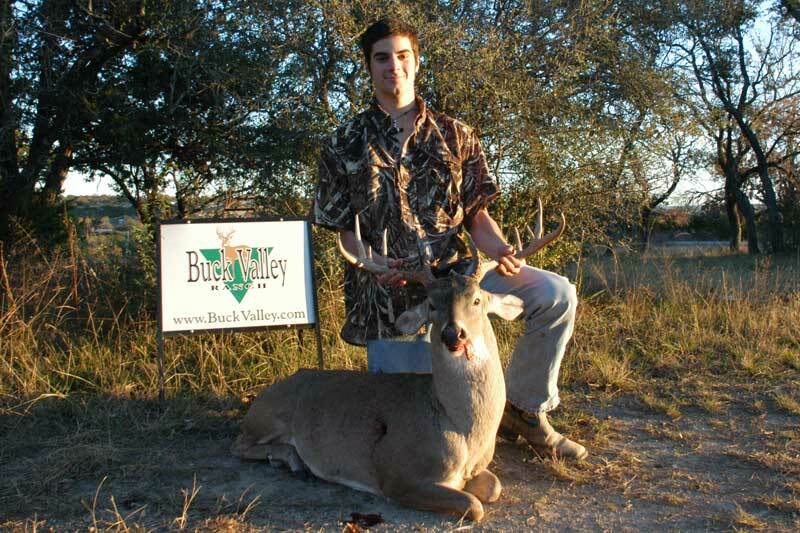 Prior to departure you will pay the balance for the class of animal you harvested. 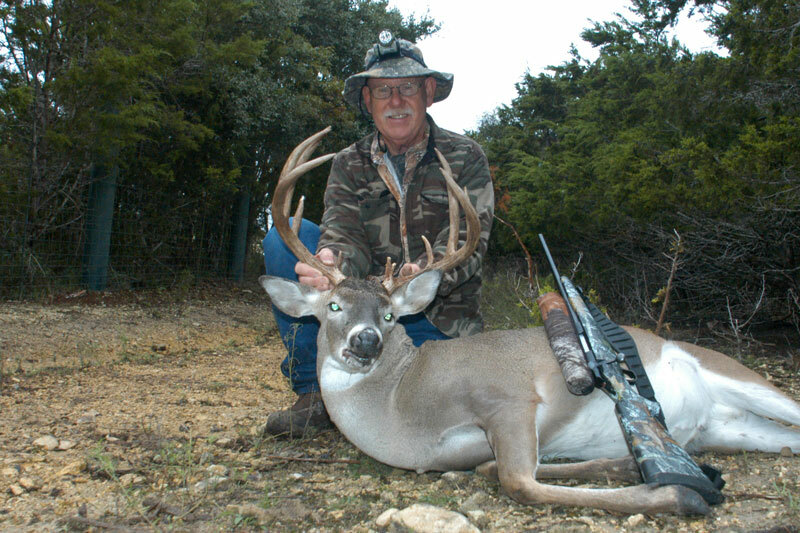 If no animal is harvested your deposit will be refunded less $300 per day for hunting.